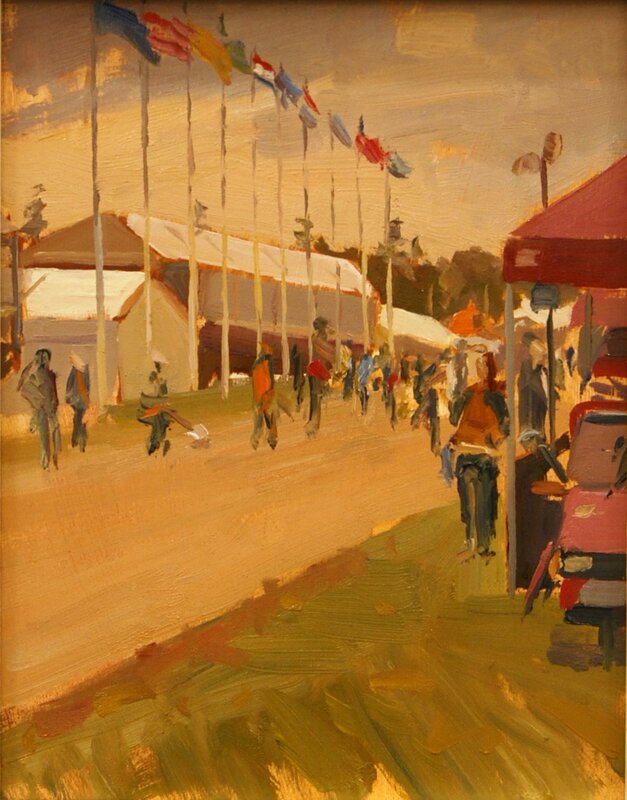 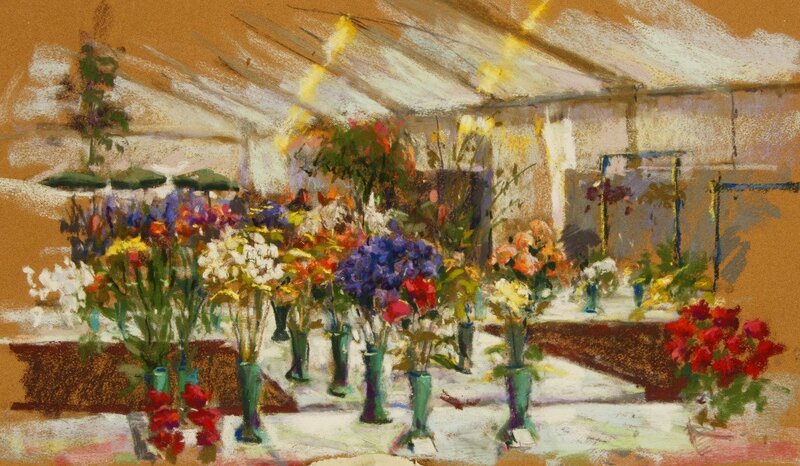 Paint Out 2017 saw an en plein air invitational event at the Royal Norfolk Show. 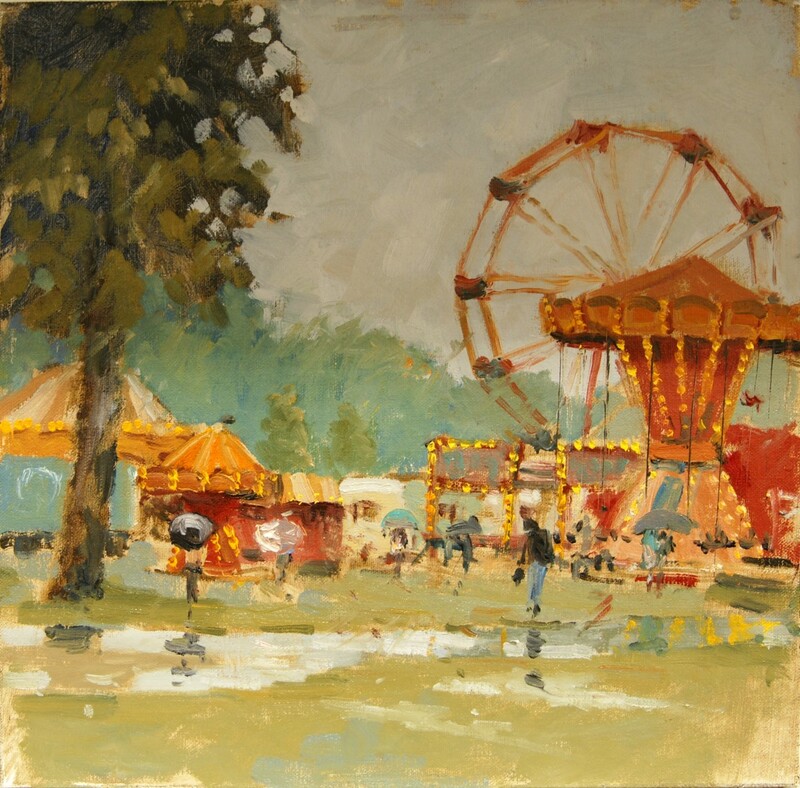 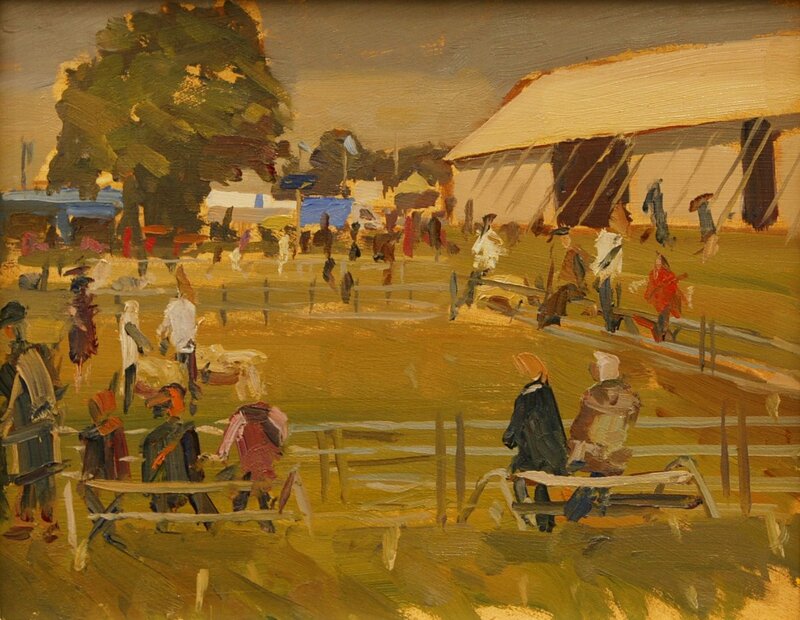 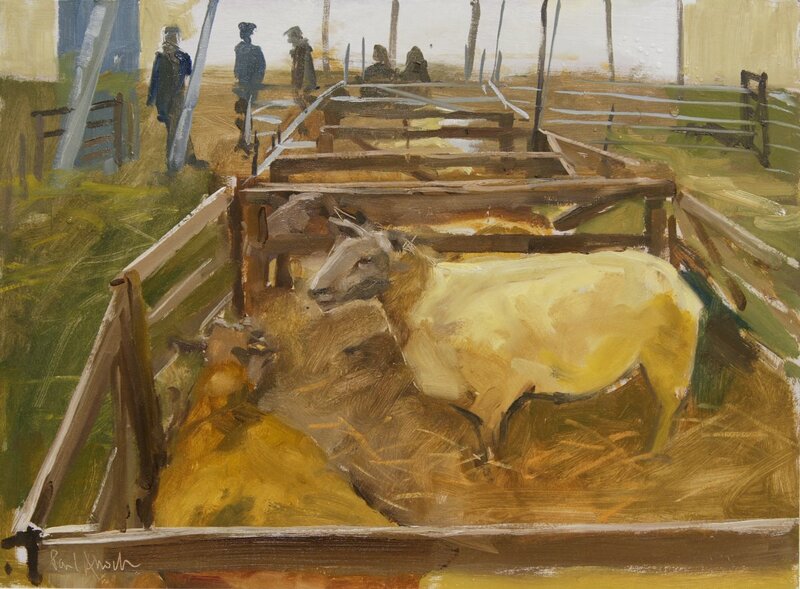 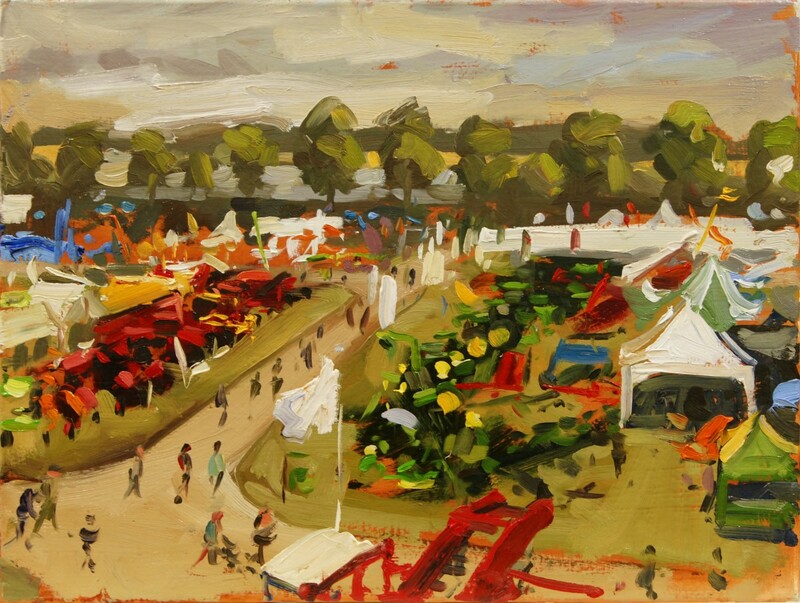 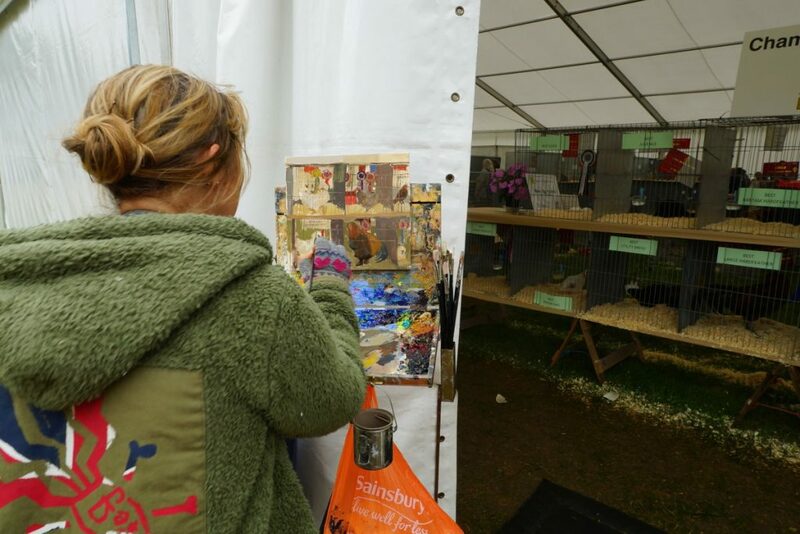 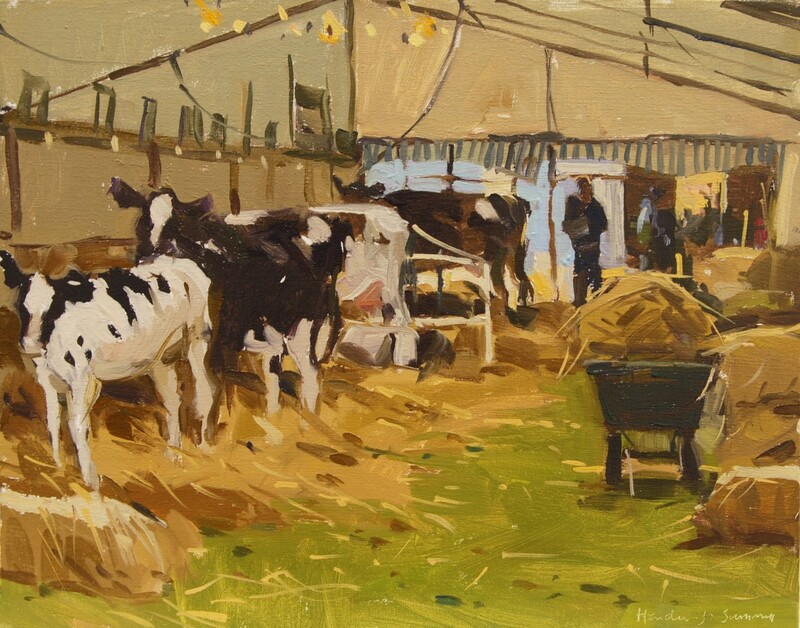 Fifteen hardy artists painted all the colour and character of the UK’s largest two-day agricultural event amidst torrential downpours and mud to rival Glastonbury! 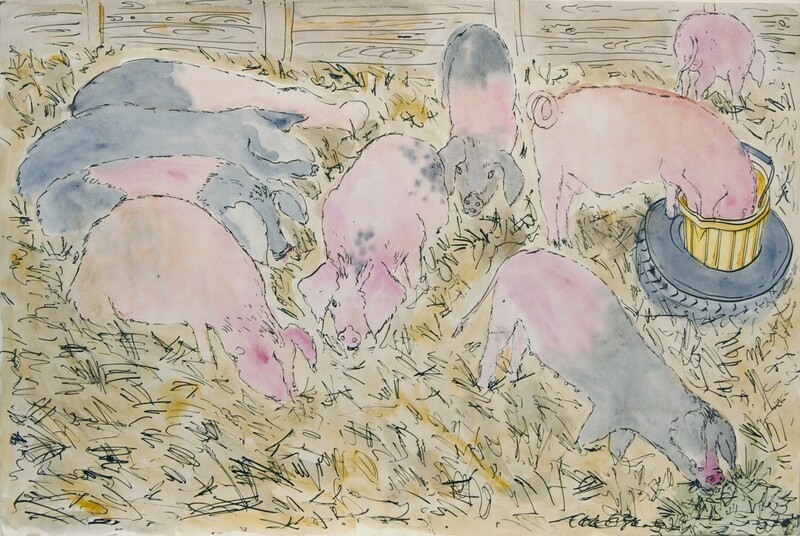 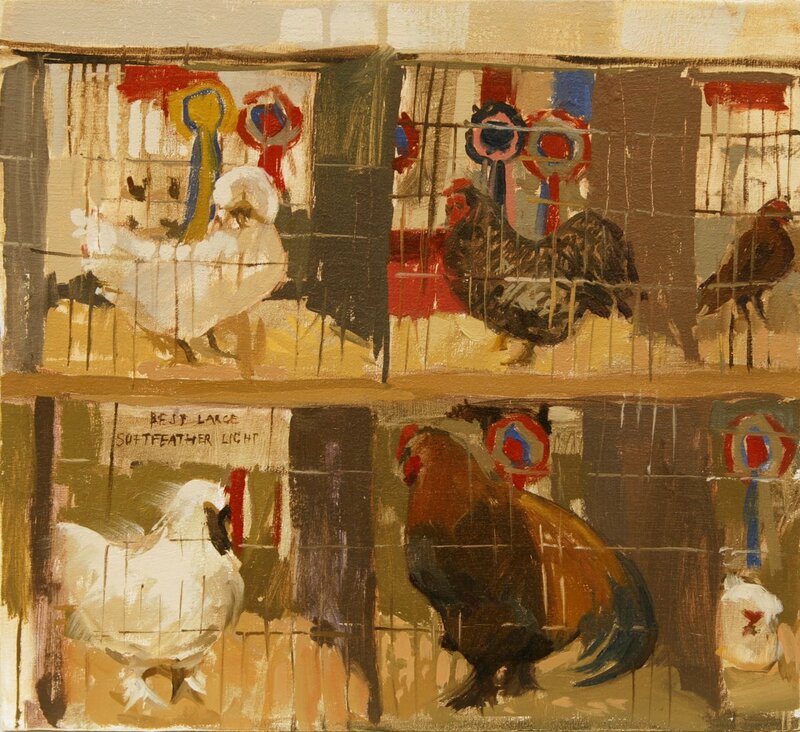 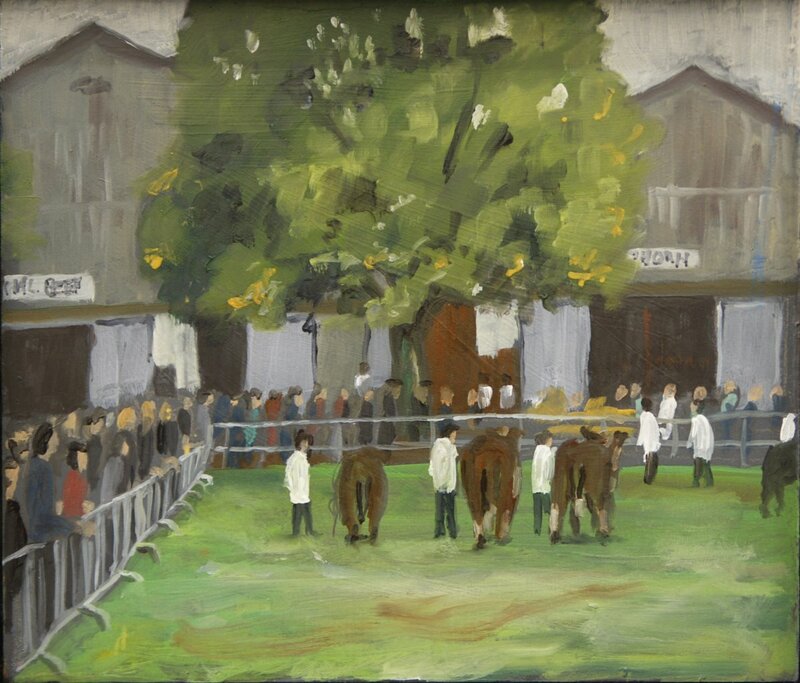 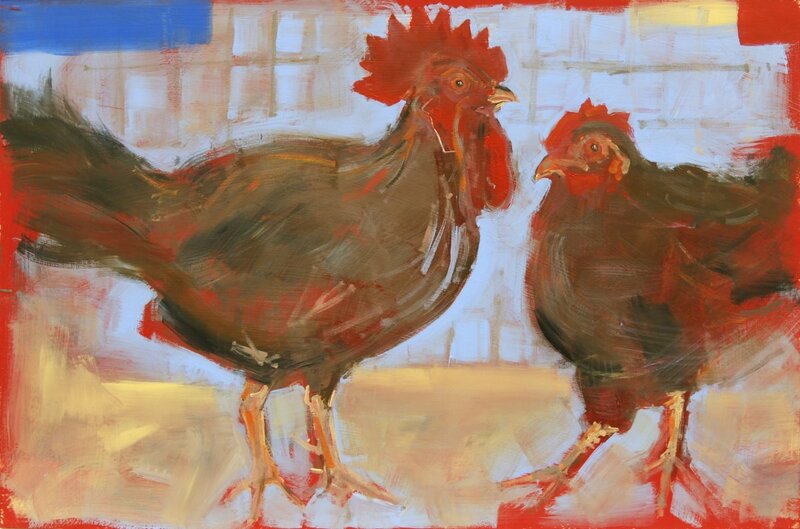 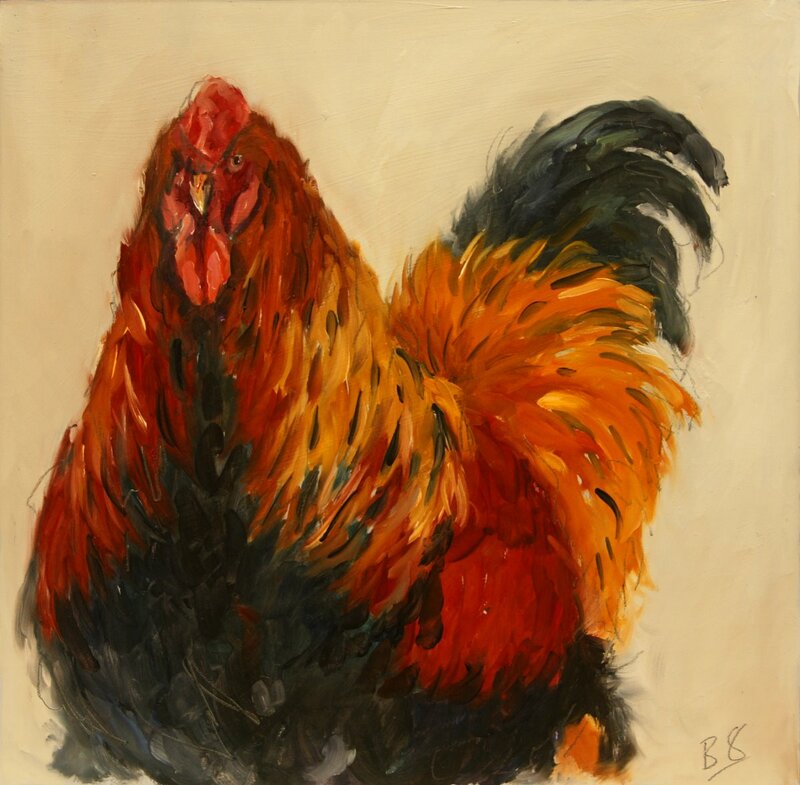 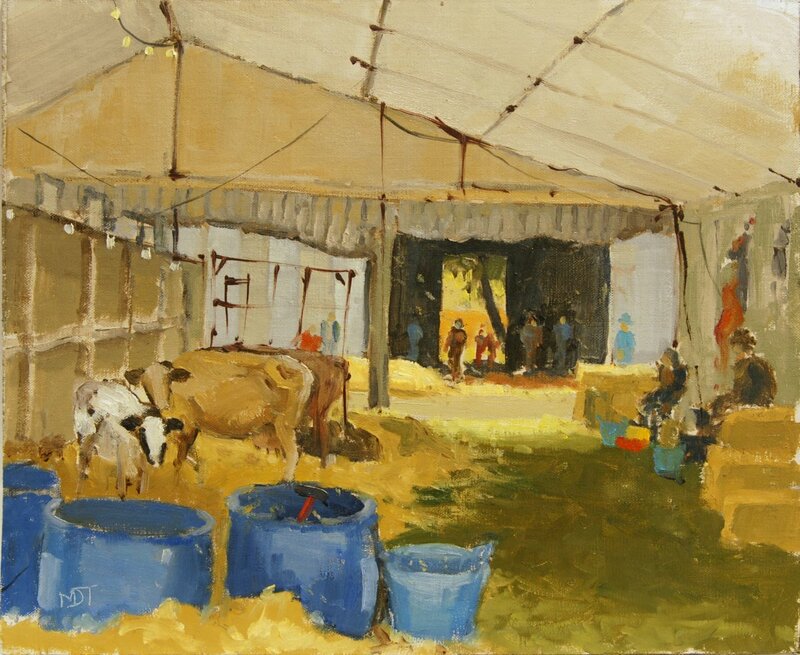 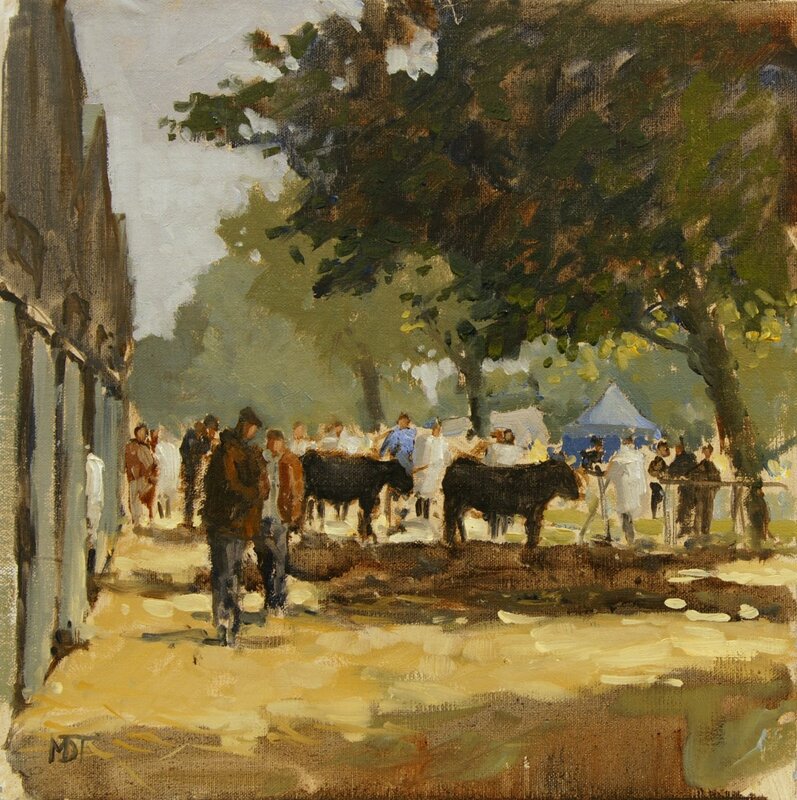 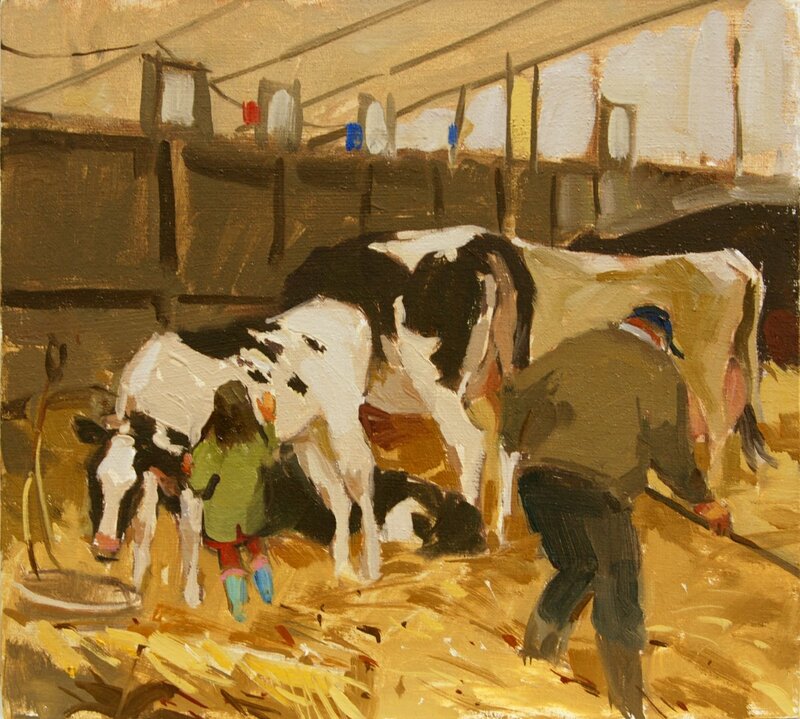 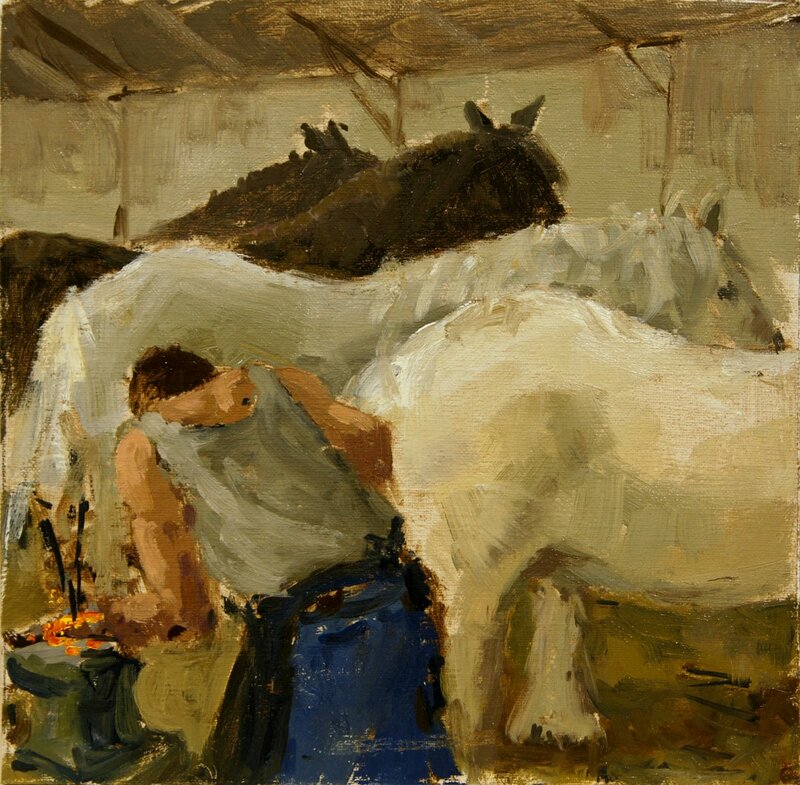 From fairground to farriers, and pigs to poultry, there was plenty to paint. 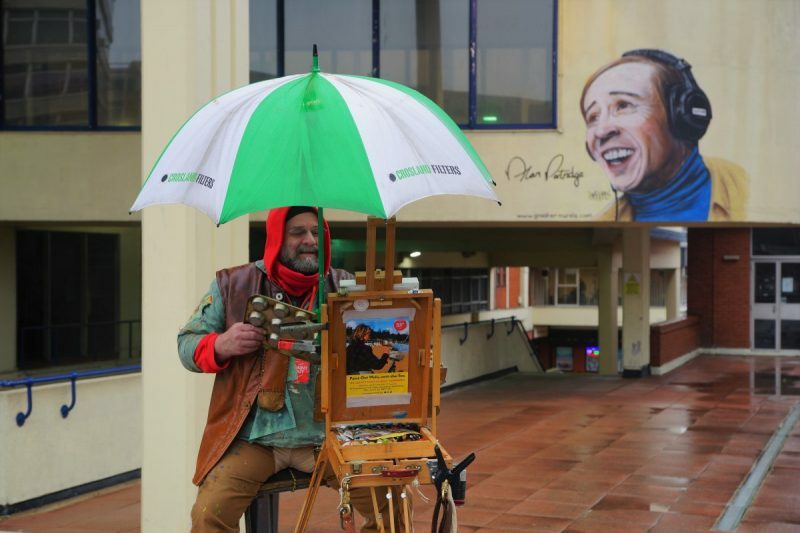 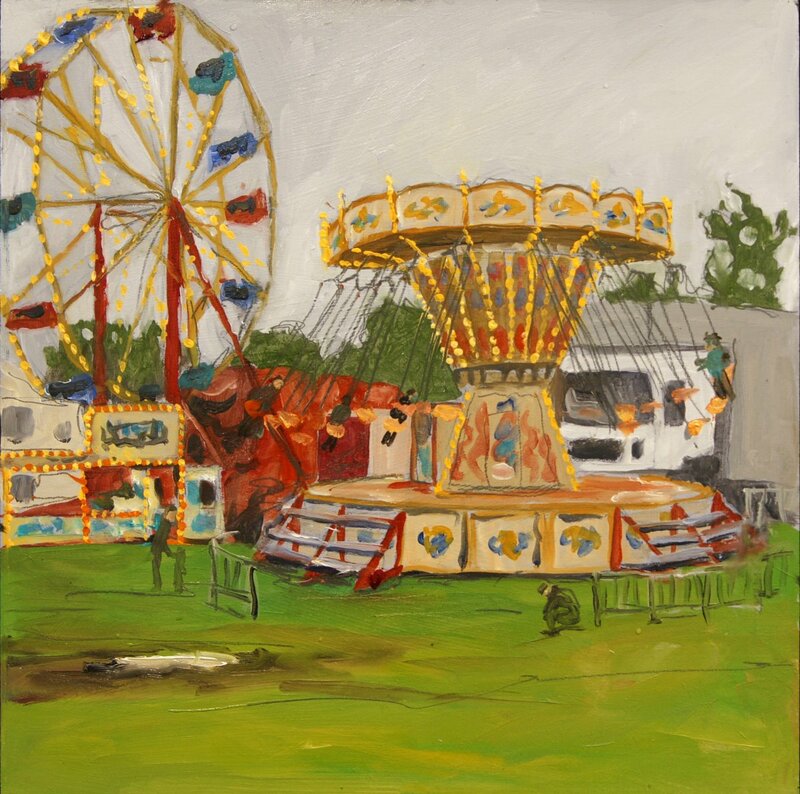 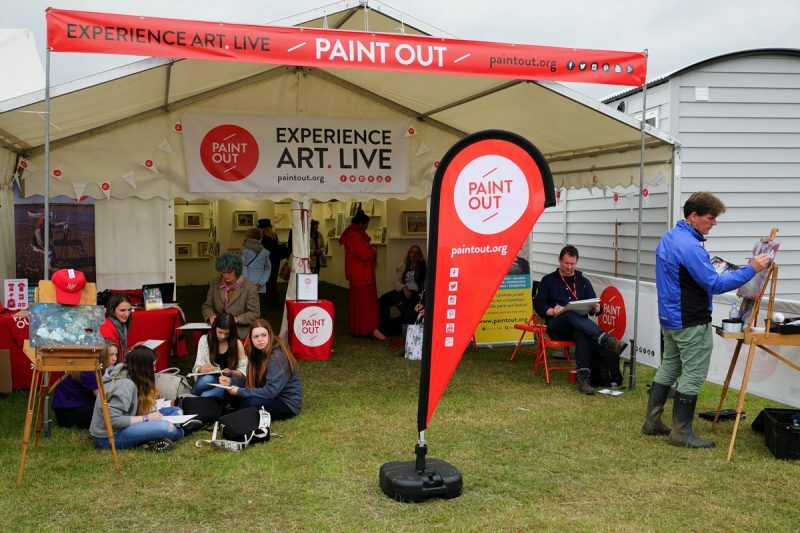 Our artists were positioned around the Norfolk Showground site, returning their wet artworks every few hours to our tent for a live art auction on the first day, and continually refreshed rolling exhibition over both days. 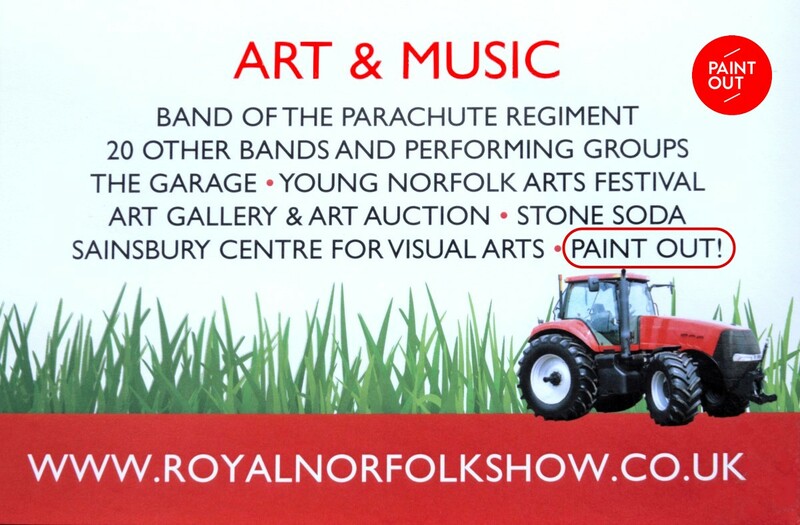 Our events offer everything from mass public plein air paint outs, to one-day pop-up explorations of East Anglian towns and countryside, intense weekend events painting dawn to dusk, and our premier fully-juried and selected 4-5 day event in Norwich, Norfolk. 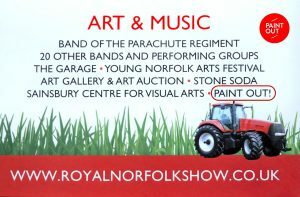 Click the links below to view the Norwich or Wells-next-the-Sea galleries or scroll down for other Norfolk and Suffolk galleries. 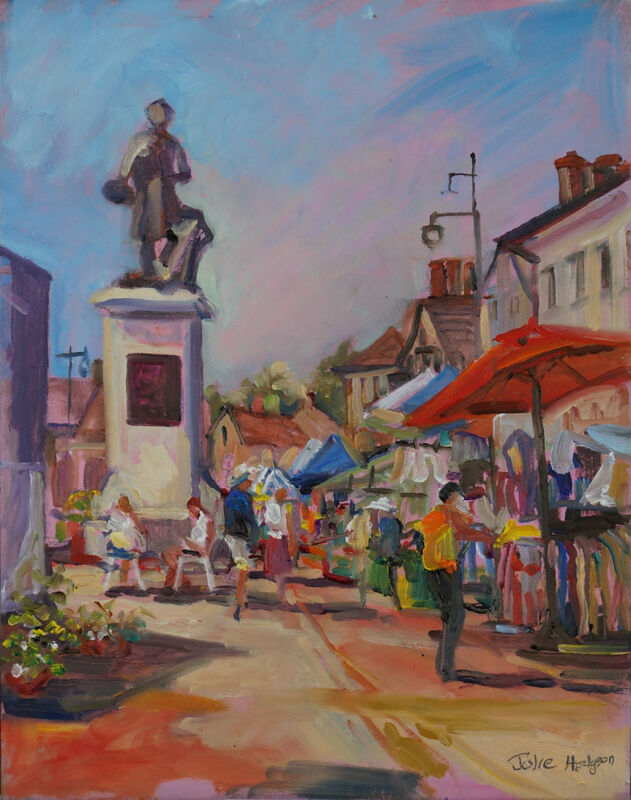 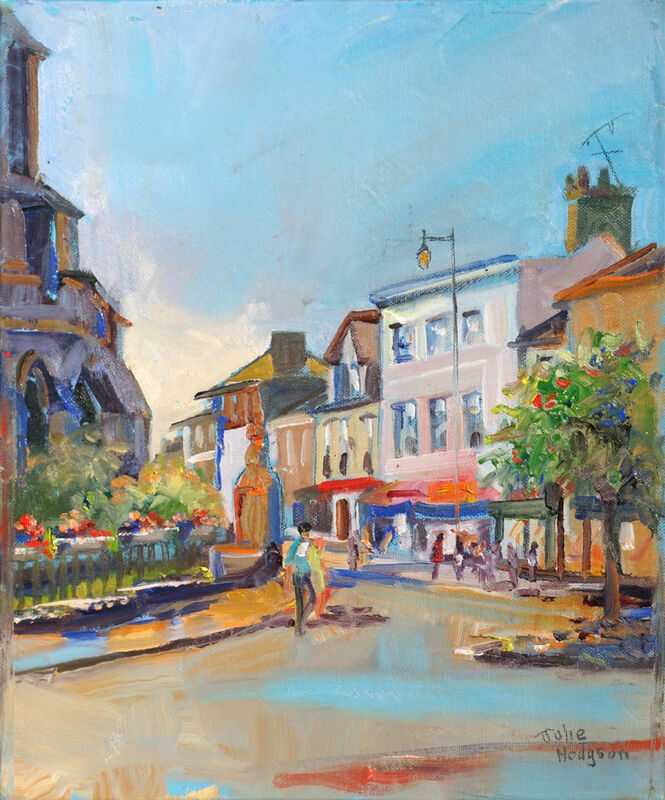 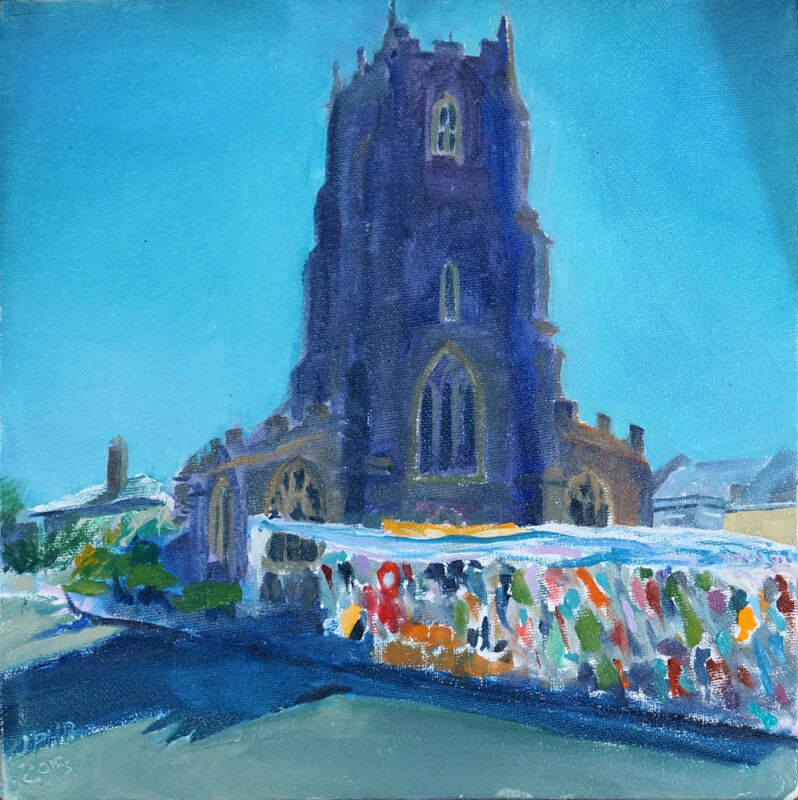 Artist Sue Willmer, 'Street Scene', Sudbury, Oil, 8x8in, £175. 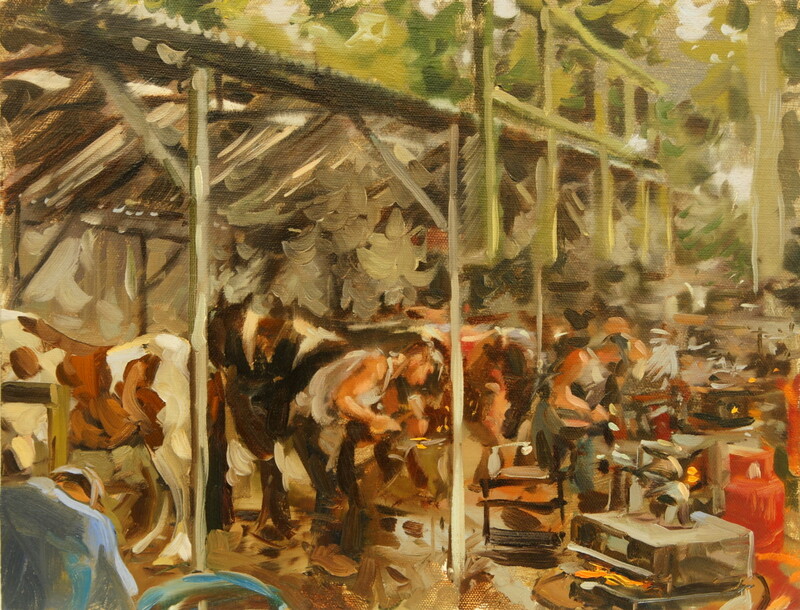 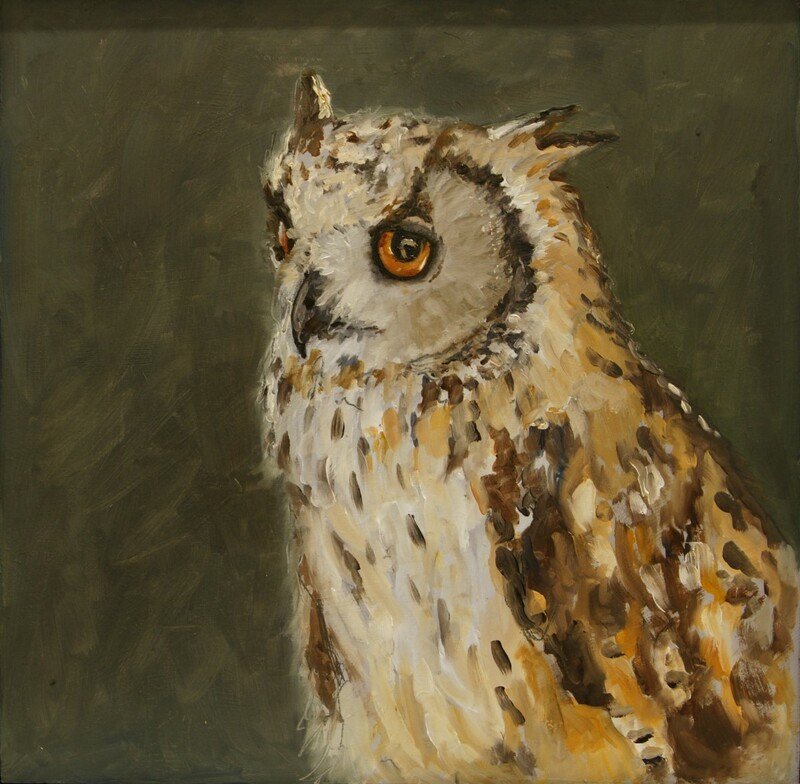 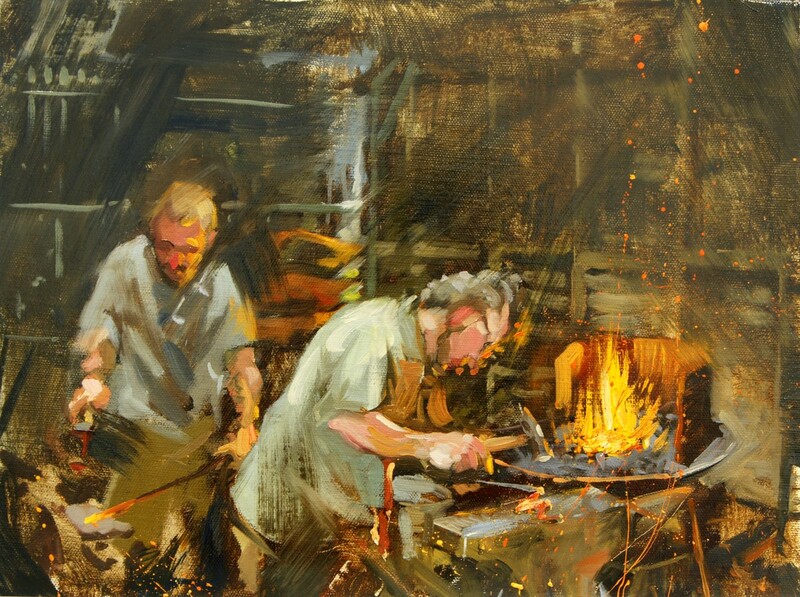 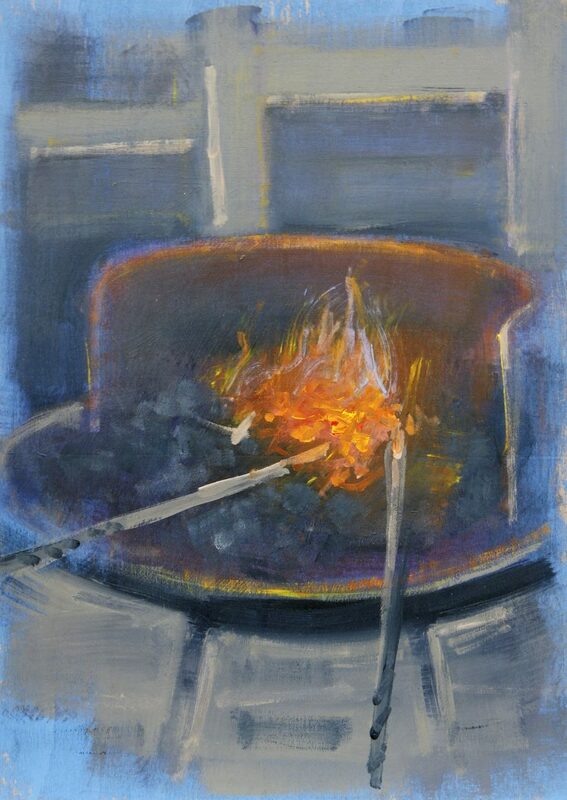 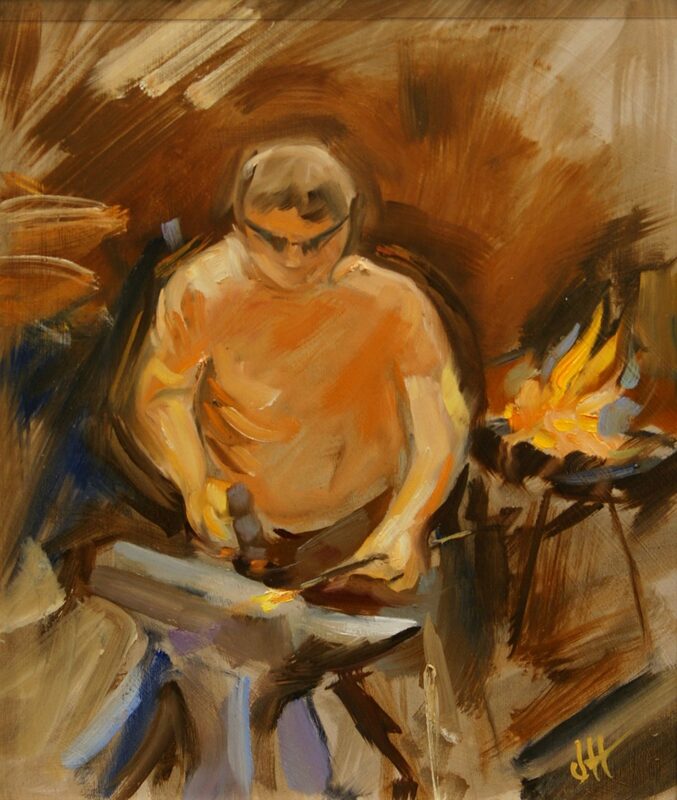 Tom Cringle has been exhibiting and selling work for nearly 20 years. 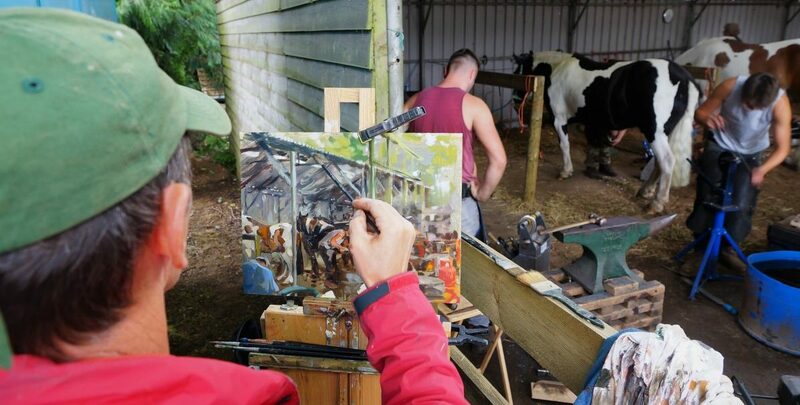 Self-taught, he works predominately in acrylic and oil. 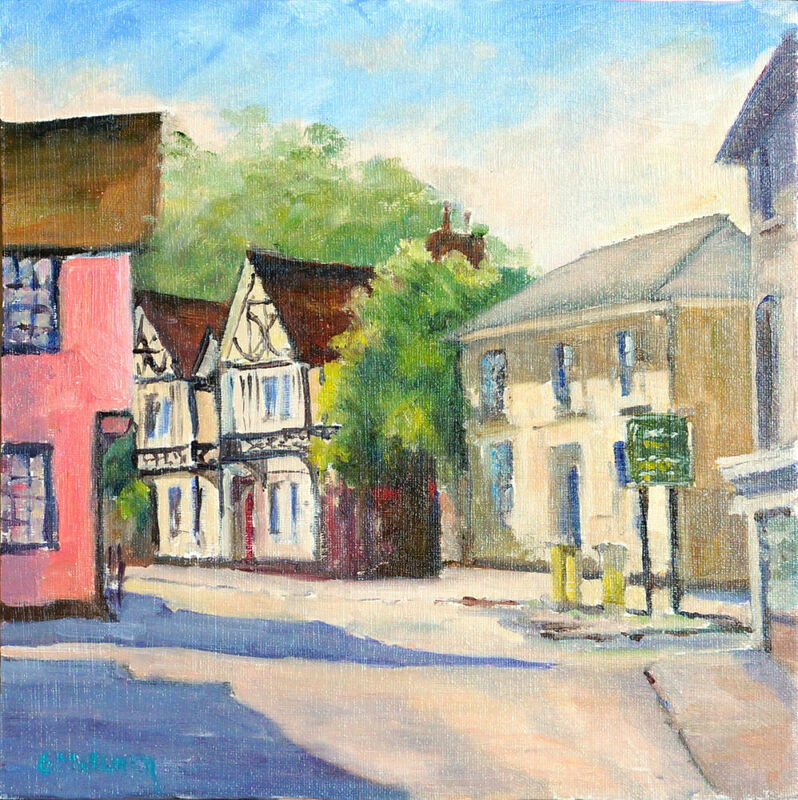 His first exhibition was in The Old Black Horse shop in Burnham Market. 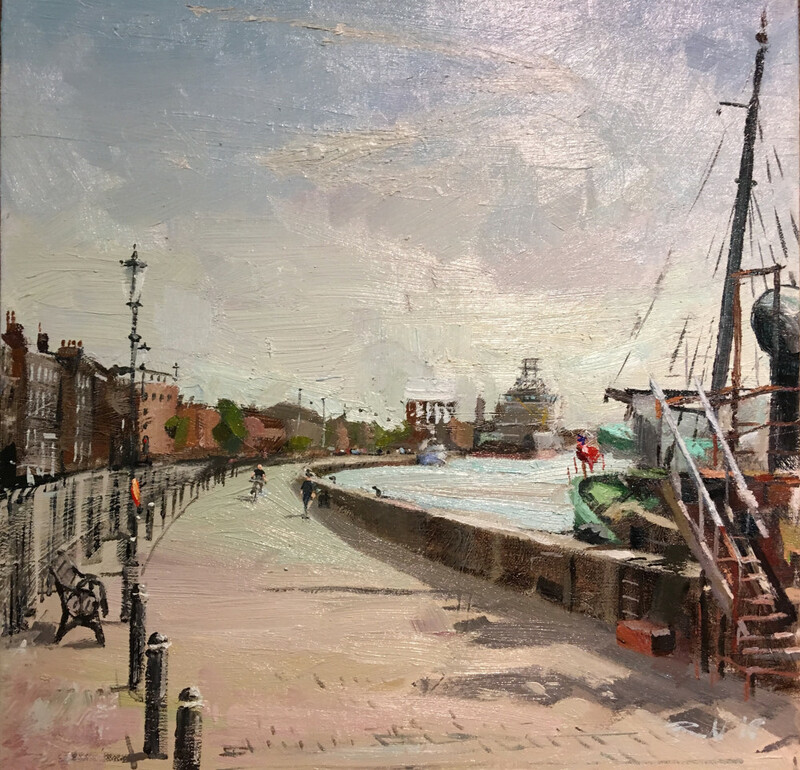 Tom’s work has further been featured in solo and joint shows which include: Fabulous Frames in Norwich, The Mall Gallery in London, The Flint Gallery in Blakeney and Aldeburgh Contemporary Art in Suffolk. 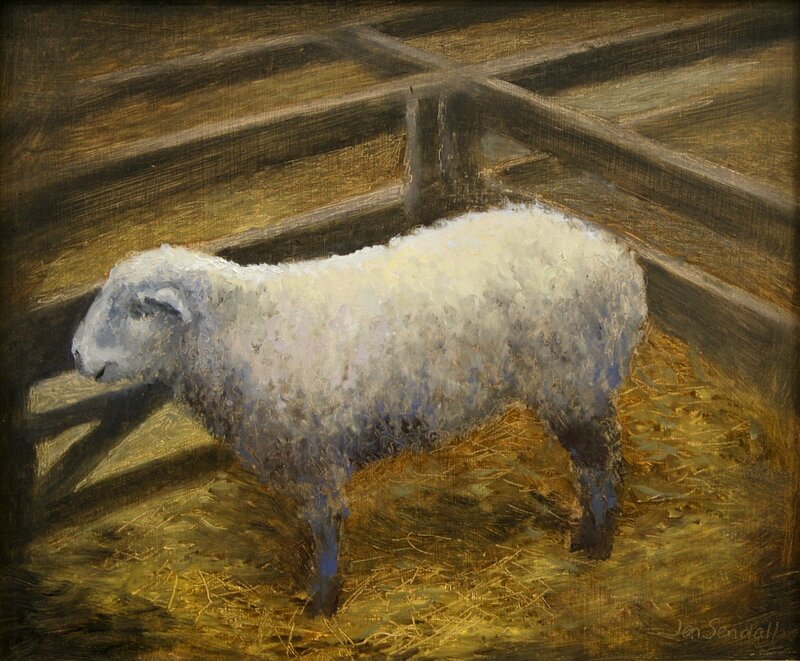 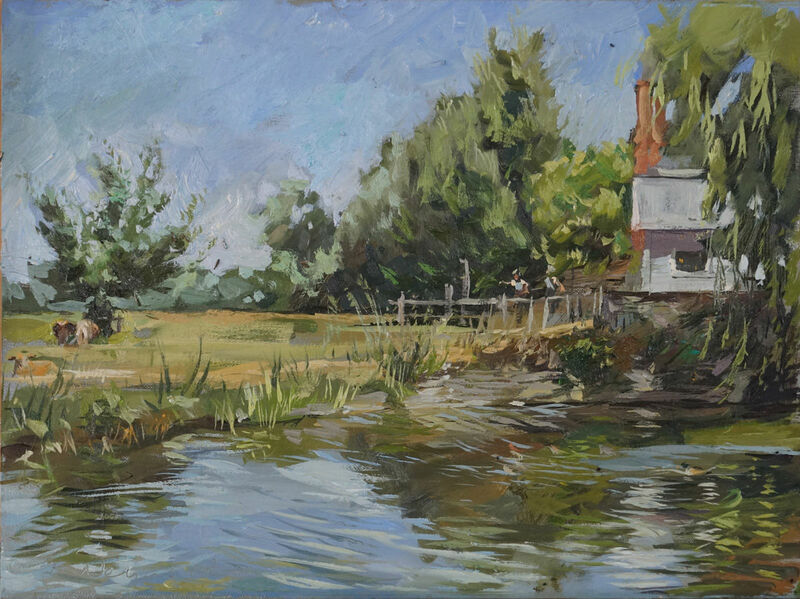 He has recently exhibited at and been accepted by the East Anglian Group of Marine Artists (EAGMA). 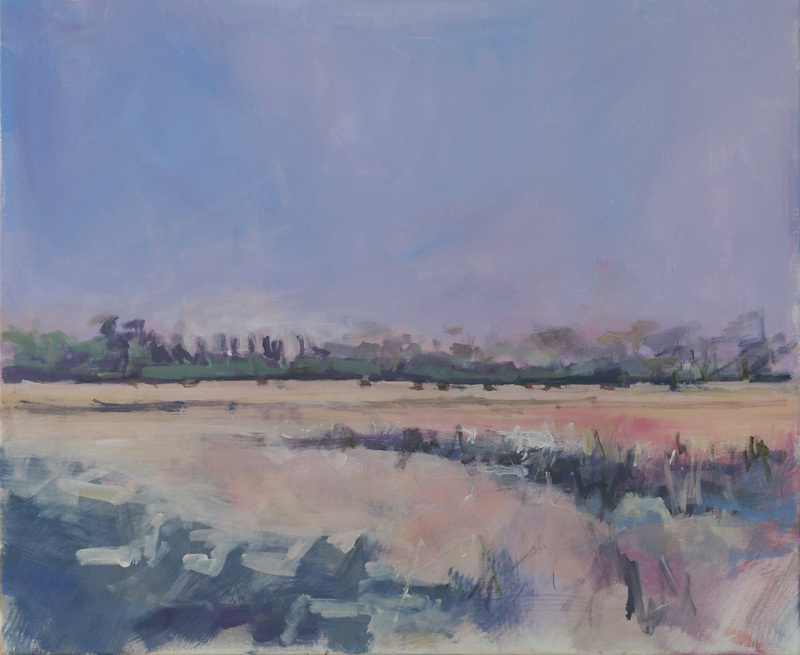 Tom specialises in landscapes and seascapes inspired by the beauty and big skies of Norfolk and beyond. 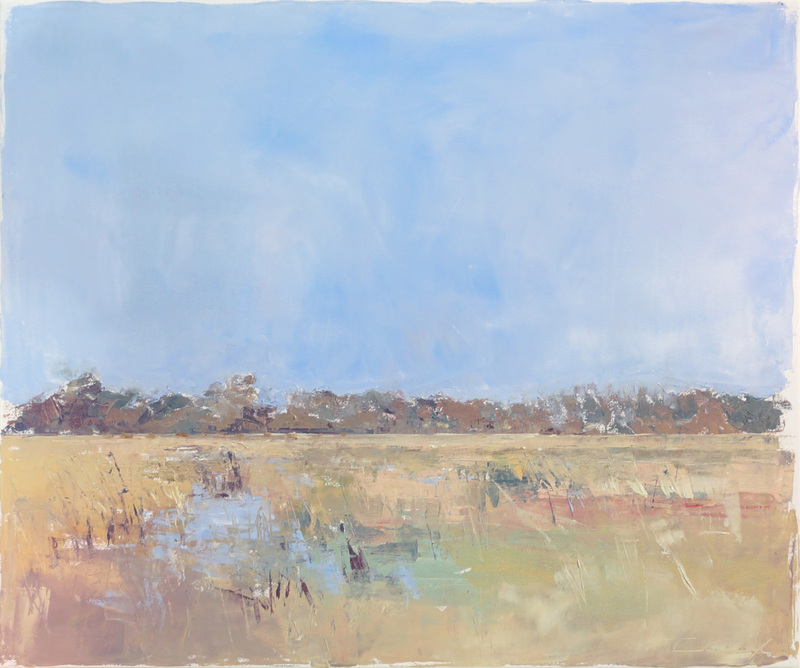 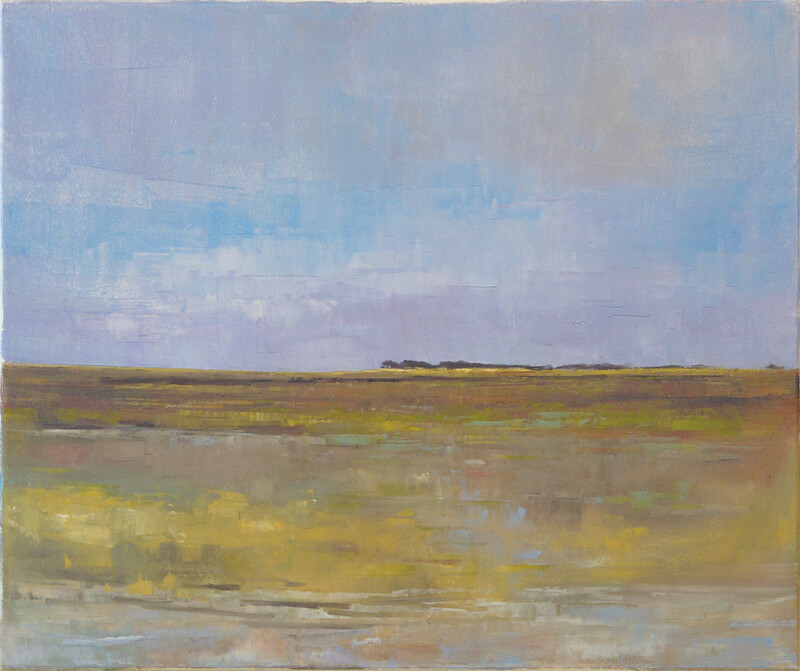 He loves to paint the expansive skies that are seen over the beaches of Norfolk and Suffolk using large canvases to allow as much sky as possible to be included. In 2016, he scooped a First and Second Prize in Paint Out Norwich Nocturnes and Mixed Media categories, following this up in 2017 with Second Prize in Paint Out at the Royal Norfolk Show. 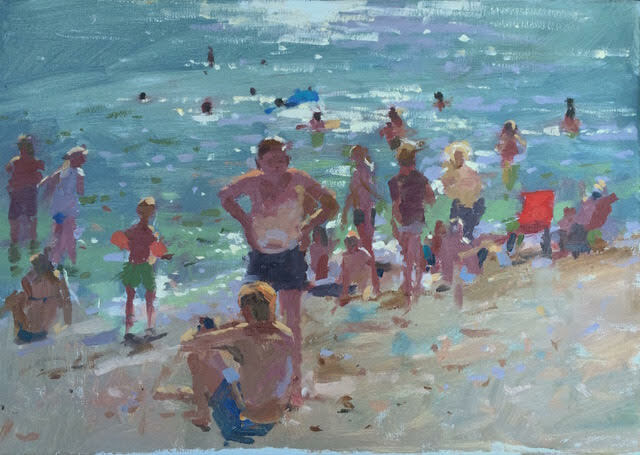 Haidee-Jo Summers describes her work as a celebration of sea, wind, sky, light and life revealed in rich and vibrant oil paint, using personal visual language of fresh and direct brushmarks. 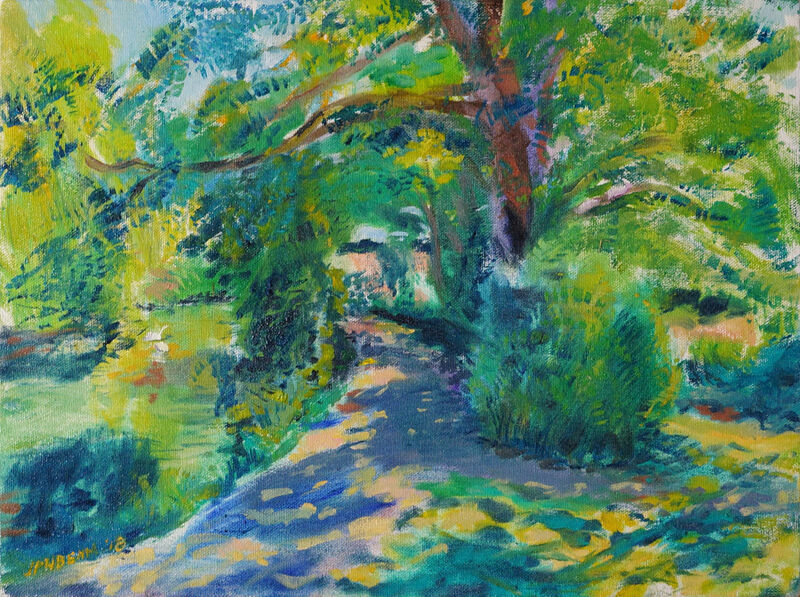 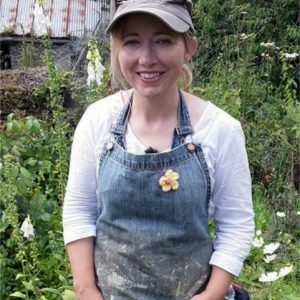 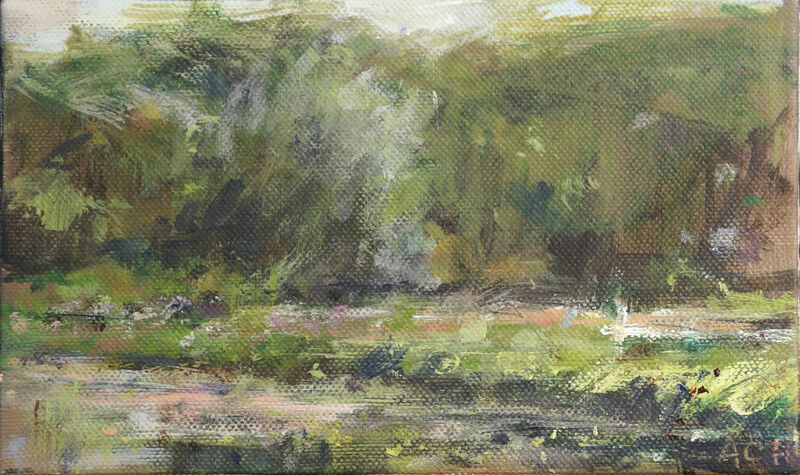 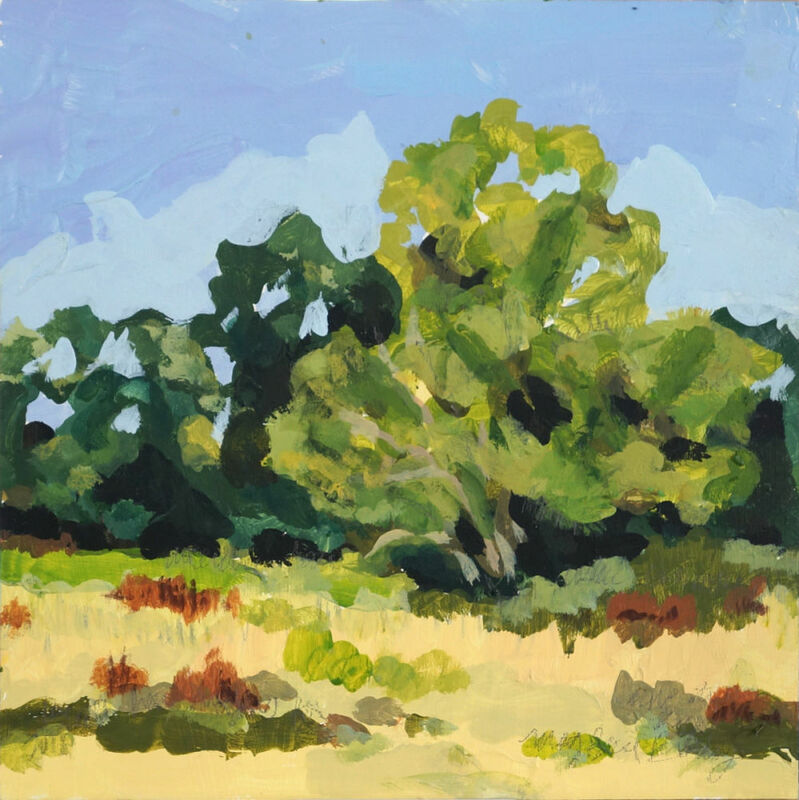 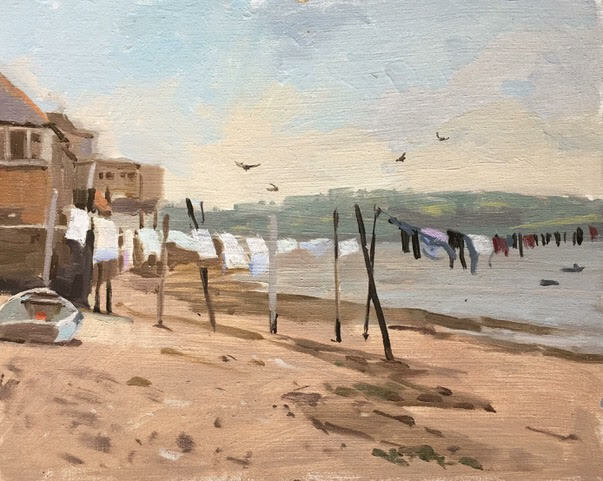 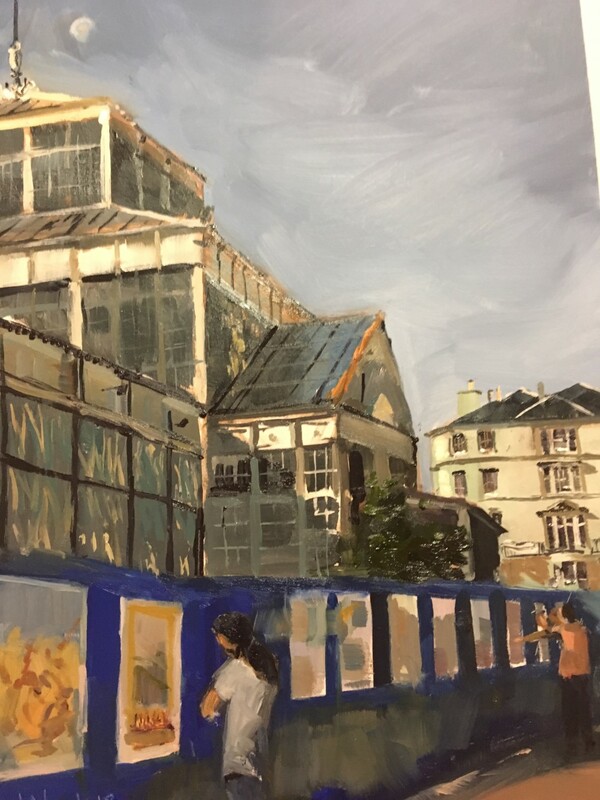 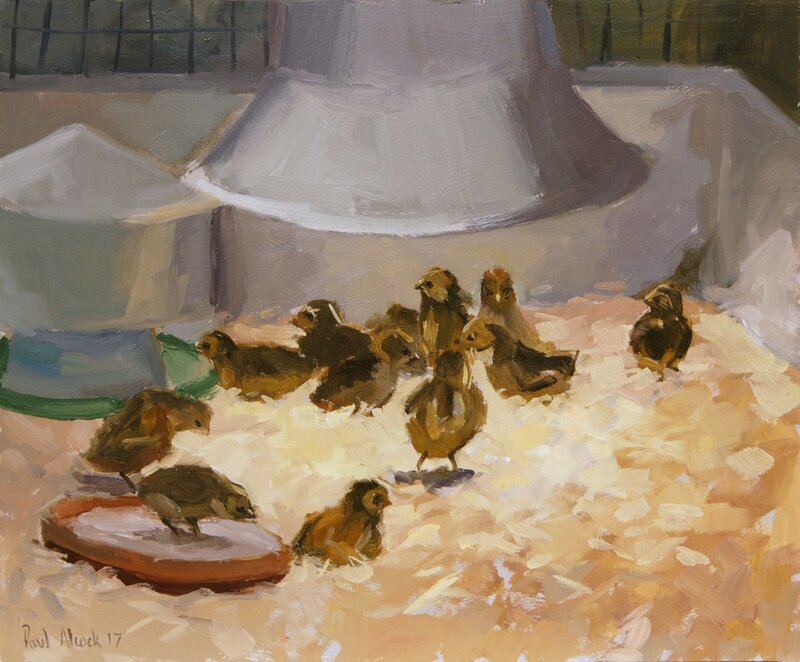 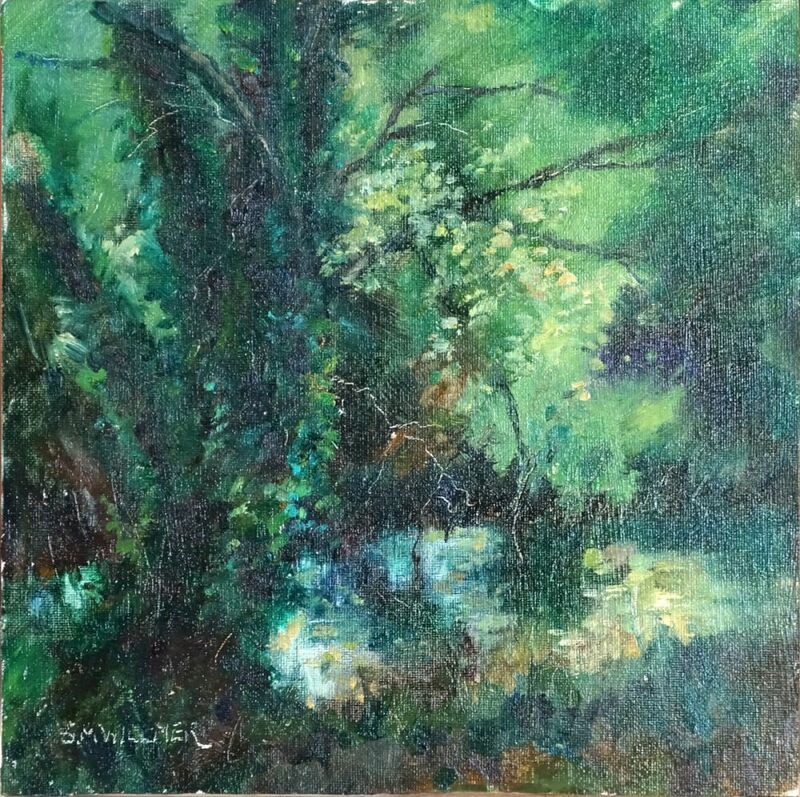 Painting en plein air is central to her practice, and she travels to seek new experiences and fresh inspiration to feed back into her studio work. 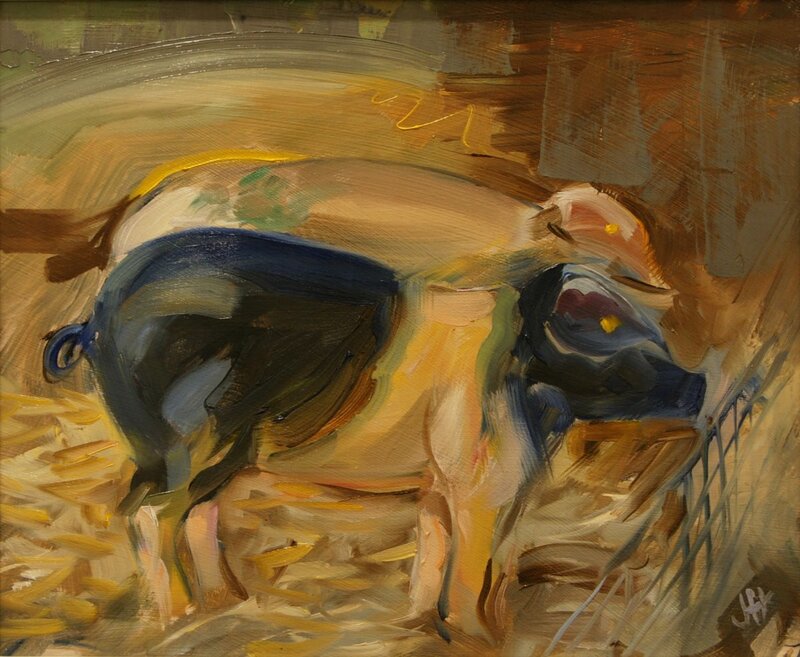 She strives for simplicity and economy and to make every mark count, walking a fine line between shape and suggestion. From her four-times winning of the Royal Institute of Oil Painters (ROI) Young Artist Award, Haidee-Jo has emerged as a multi-award winning sought after artist and was Paint Out‘s first ever winner in 2014. 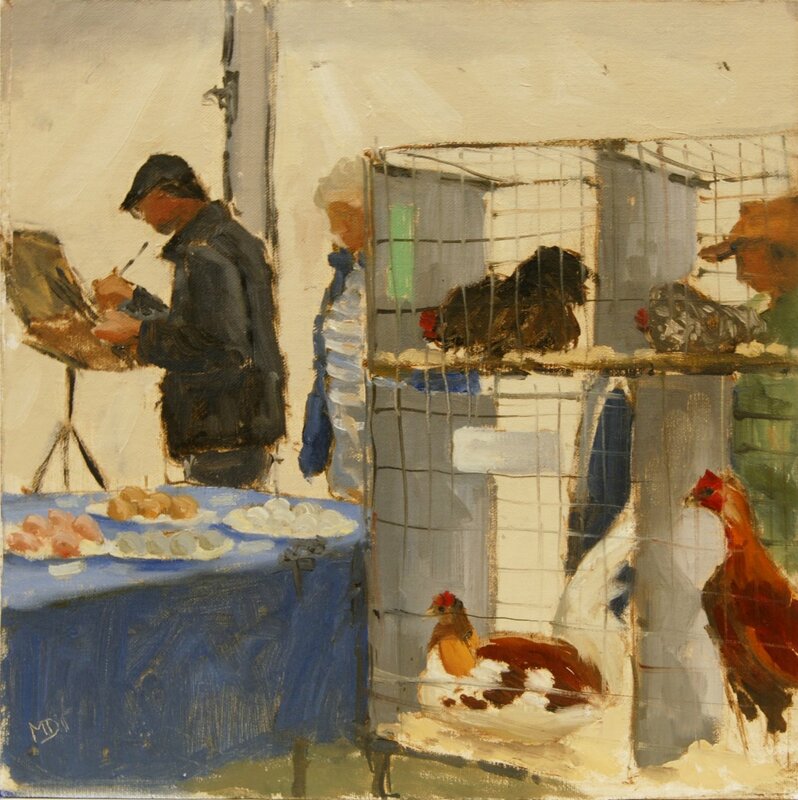 She followed this up with sharing the Spirit of Plein Air Prize at the Royal Norfolk Show Paint Out for her “Waiting to be Judged” painting. 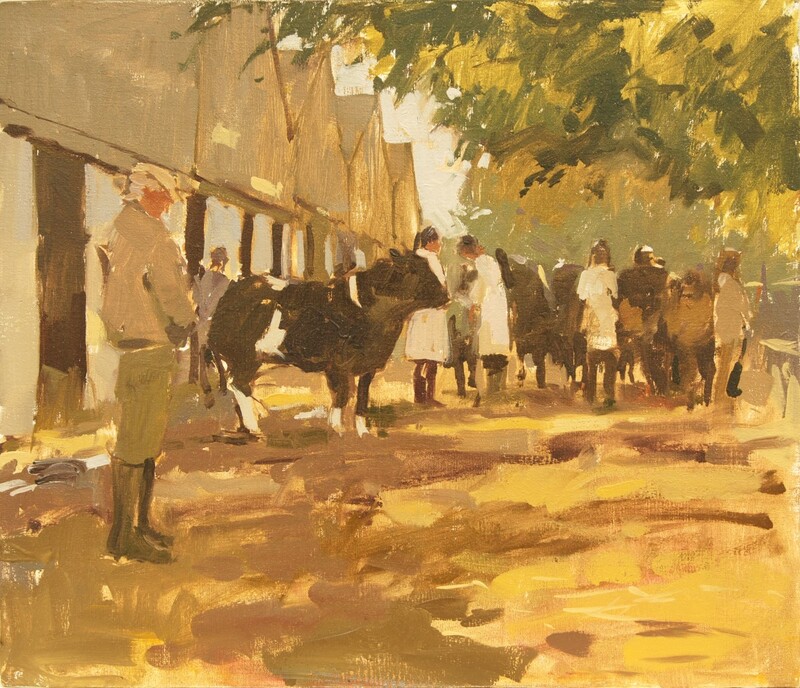 The inaugural Paint Out Cambridge takes place 13-17 May (painting 13-15th, PV 16th, exhibition till 17th) in collaboration with Cheffins Fine Art. 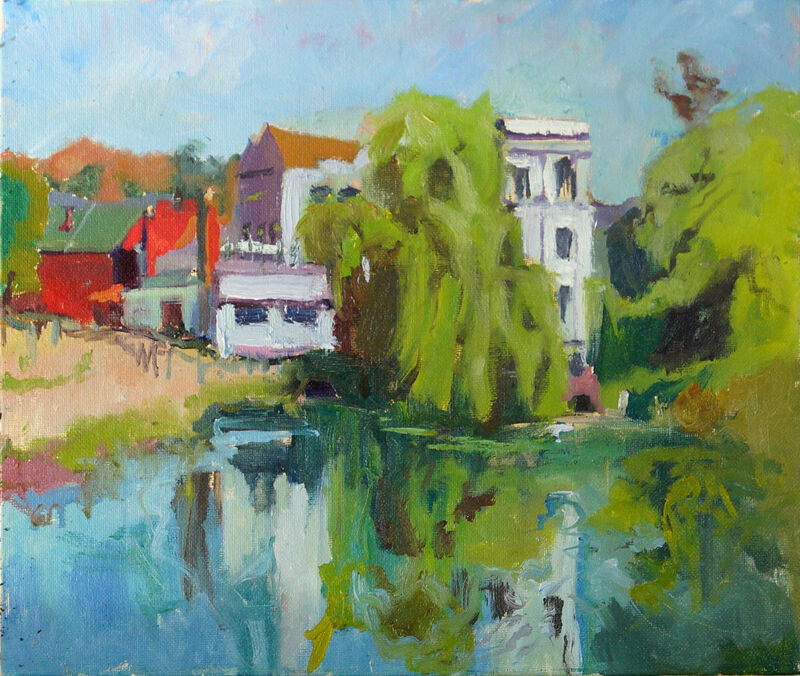 Iconic views, Cambridge colleges, Kings College Chapel, the River Cam – its punts and bridges, the Market, may all feature in our first plein air Cambridge art event. 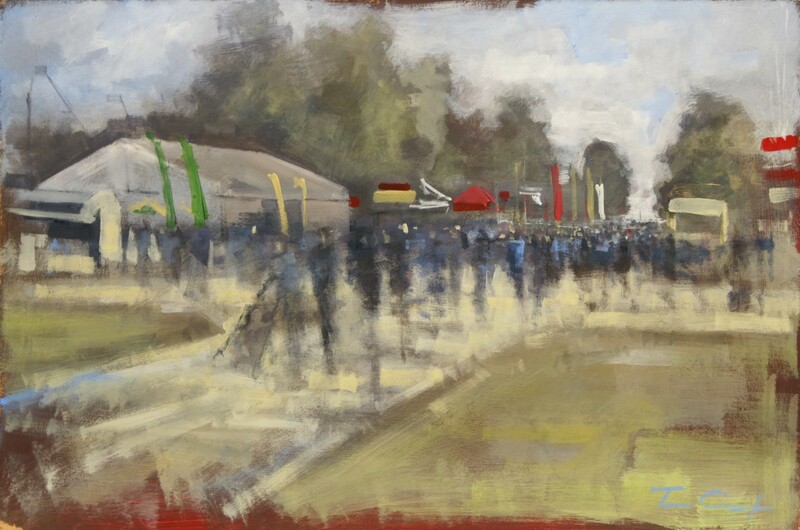 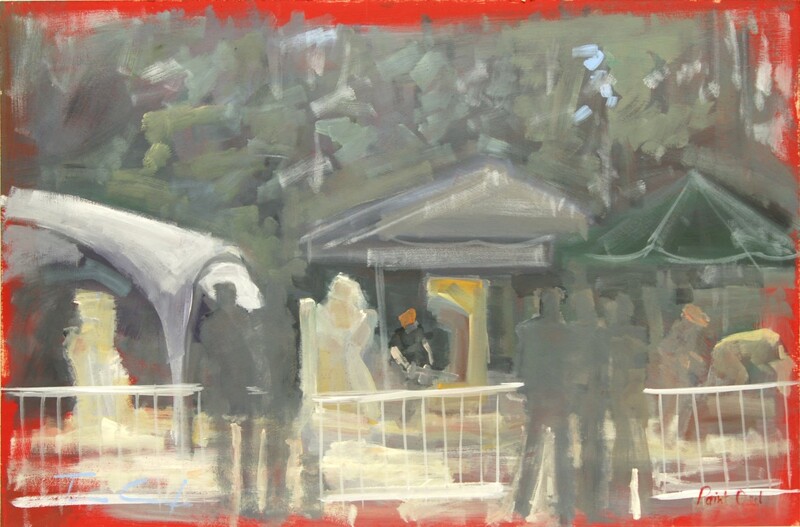 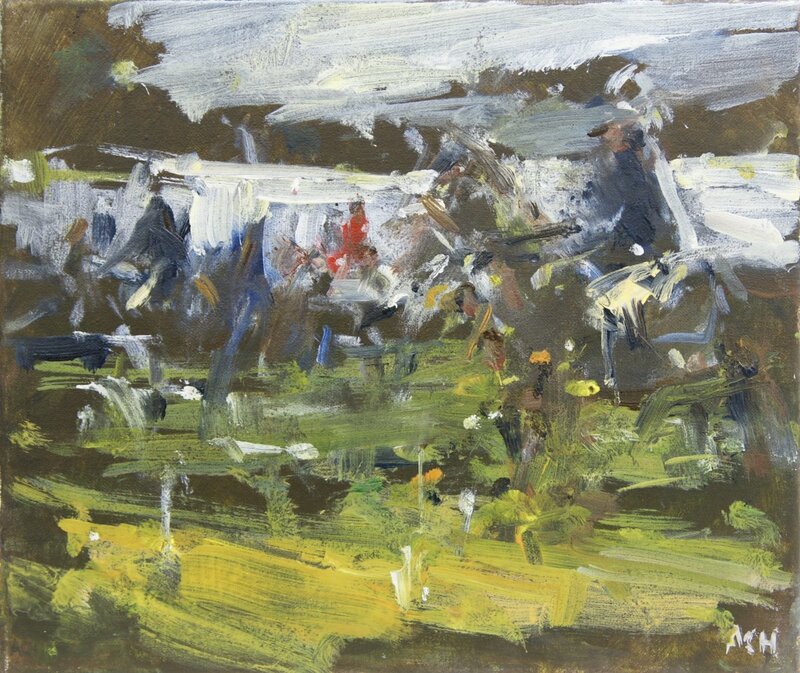 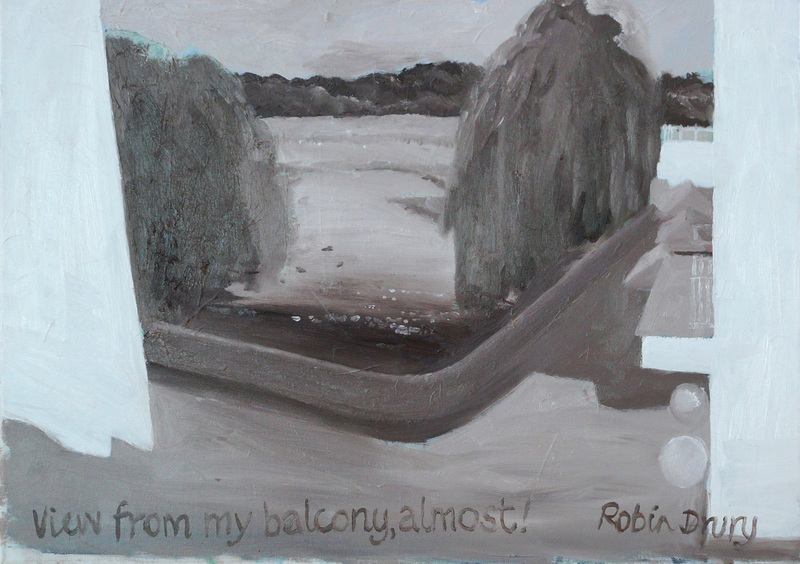 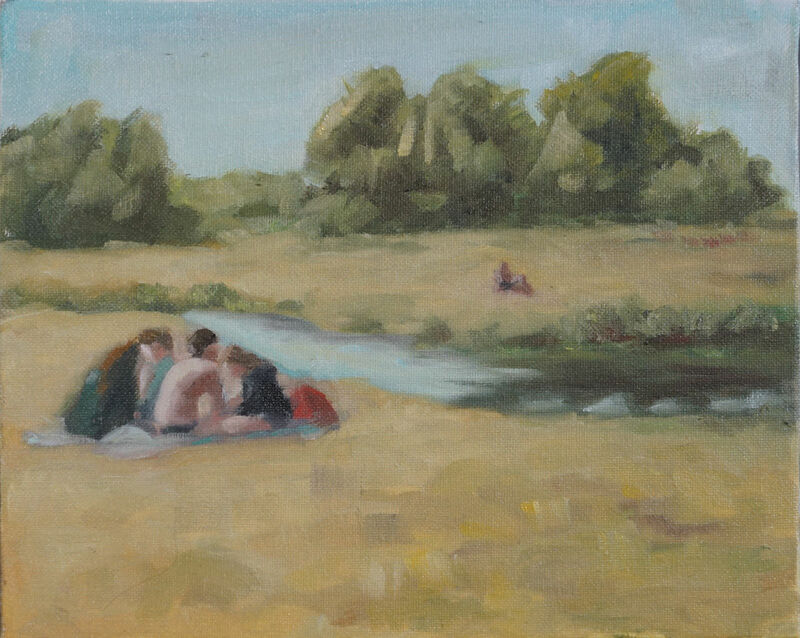 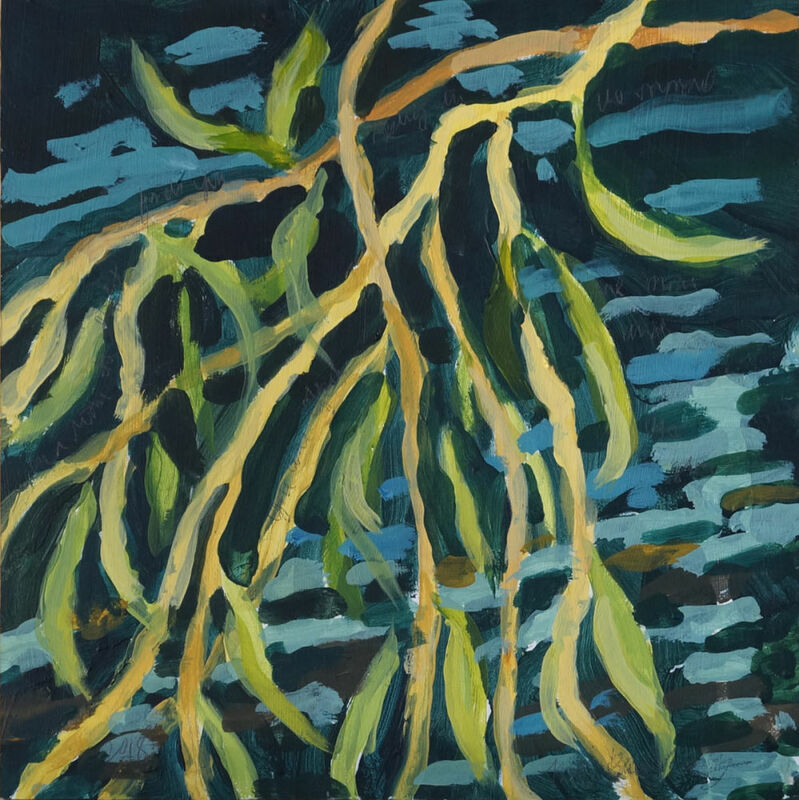 Paint Out Norfolk takes place in conjunction with The Sainsbury Centre for Visual Arts (SCVA) 2-7 July (painting days 2nd-4th, PV 5th) based around the SCVA/UEA campus site and painting further afield. 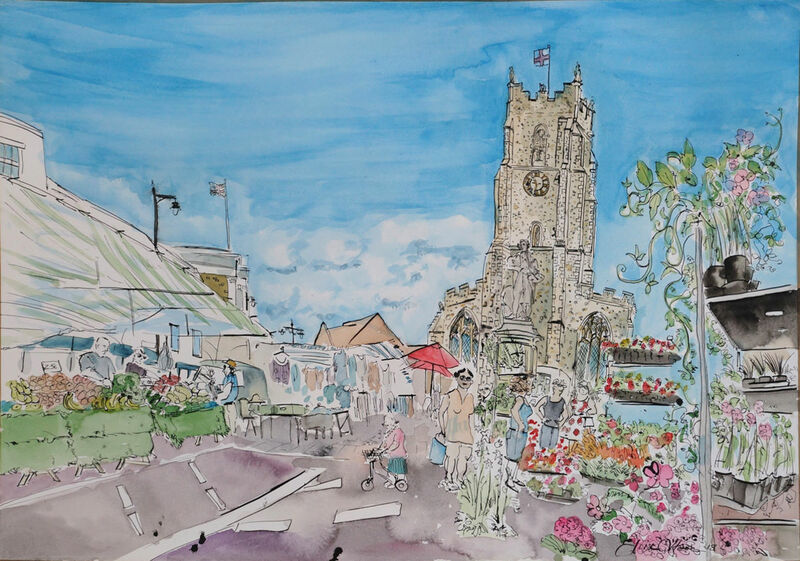 The Holt Festival (21-27 July), now in its eleventh year, has invited Paint Out to open this year’s Festival with a two-day Paint Out and Private View (19-20 July) around the charming North Norfolk town. 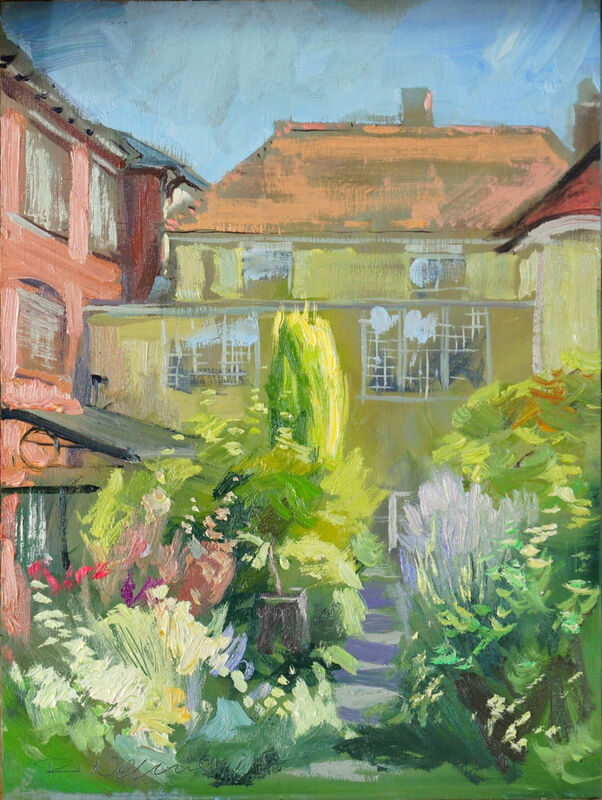 Home to 500-year-old Gresham’s School (alumni include WH Auden, Olivia Colman, Benjamin Britten, James Dyson, and the artist Ben Nicholson), this two-session Paint Out will be backed up by a ten-day exhibition in Picturecraft of Holt, a gallery and Art material supplier with the winners exhibiting alongside the now well established Holt Art Prize. 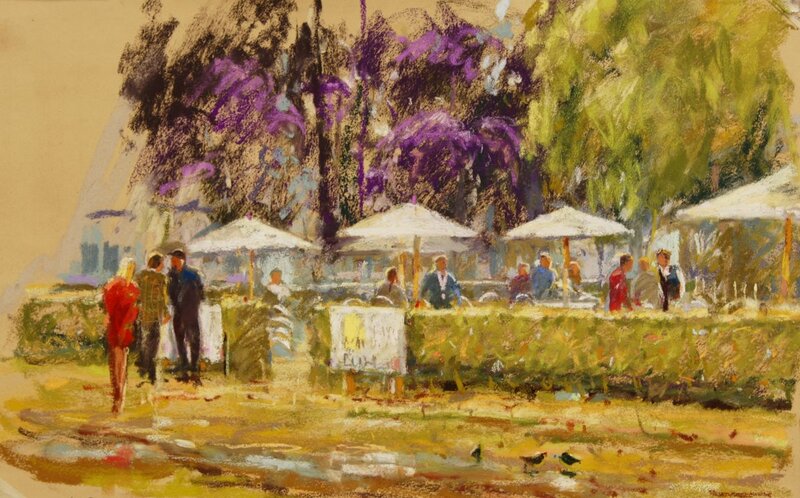 This year, Paint Out Norwich (15 Oct) will provide a finale to the Paint Out Norfolk Gardens series which will have taken place May-October, through the year’s changing seasons, light, and colour. 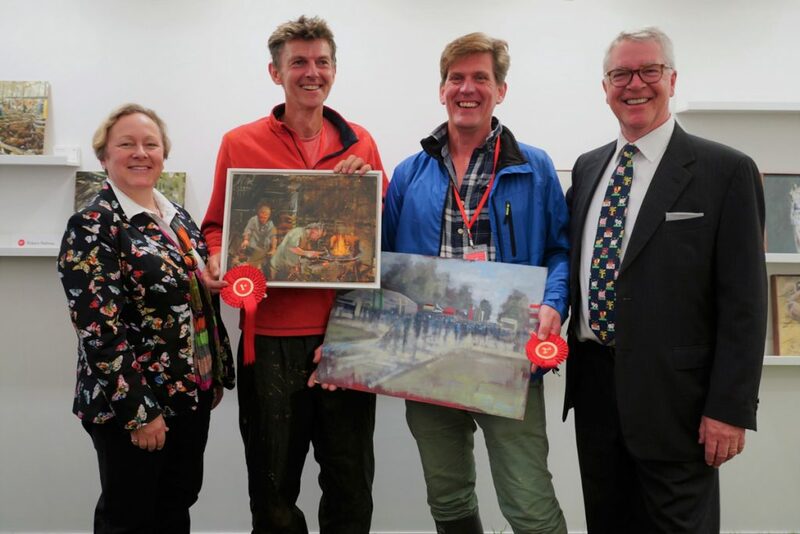 Paint Out Norwich ran a winter nocturne Christmas lights plein air and social, Wednesday 19 December 2018 4-7pm. 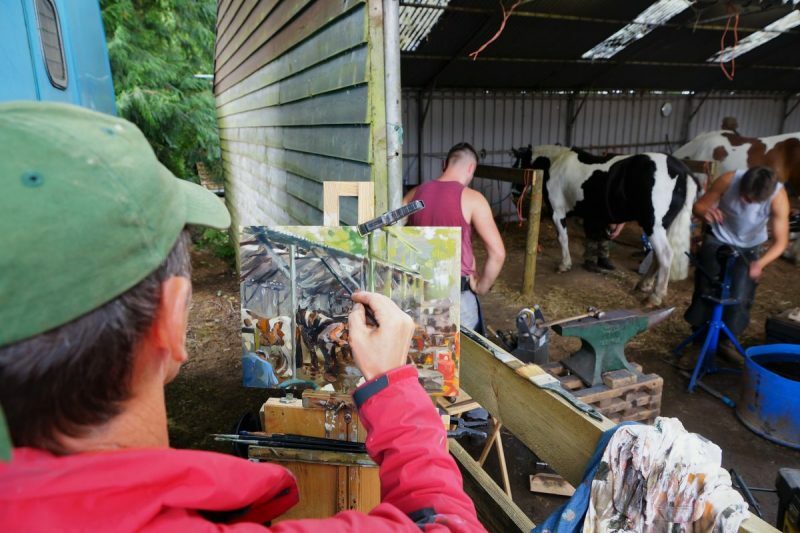 Whilst the open air painting and pinting event, starting out at the Bell Hotel pub, is free please RSVP to get an idea of numbers. 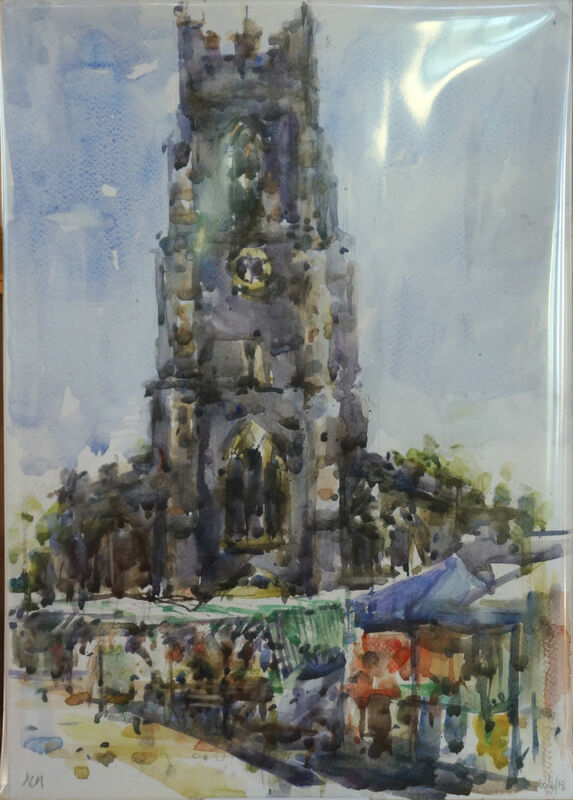 We also hope to offer a small prize for the best painting of the evening. 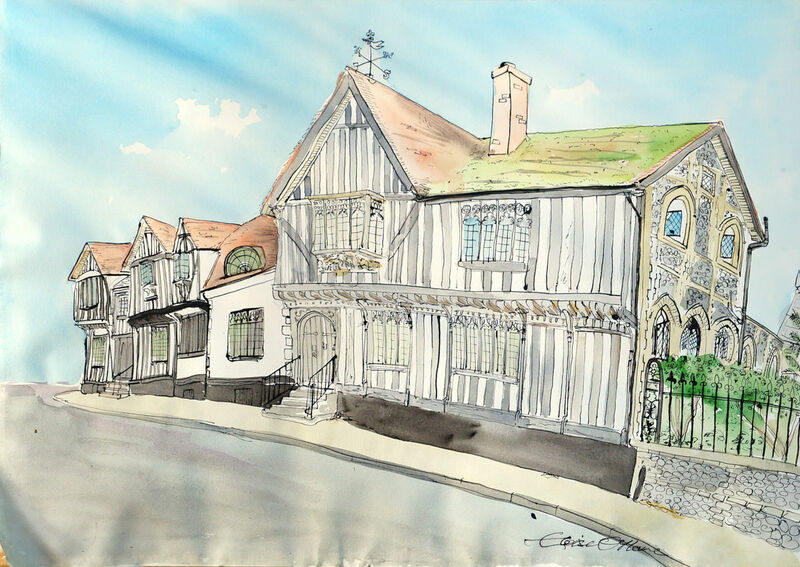 Some of the suggested locations include the fifteenth-century Bell Hotel itself, Jarrolds, and the Market/City Hall. 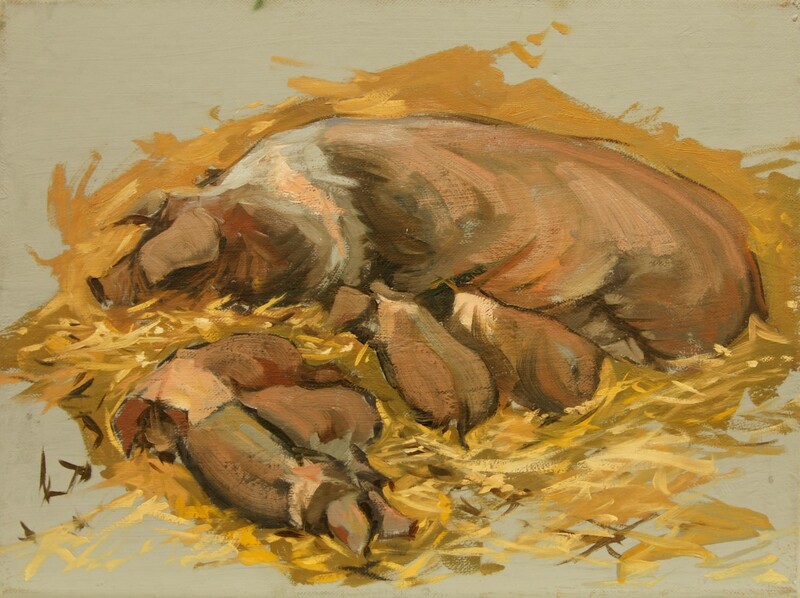 All three are decorated and illuminated with tasteful seasonal lighting. 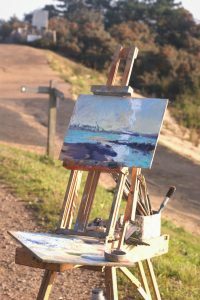 A new one-day event is taking place – Paint Out Great Yarmouth on 1 September, from Seaside to Quayside, in collaboration with Norfolk Museums Service and particularly the Time and Tide Museum’s event ‘Drawn to the Coast: Turner, Constable, Cotman‘ which explores the identity of Great Yarmouth and its surrounding landscape through the artwork it has inspired – more information. 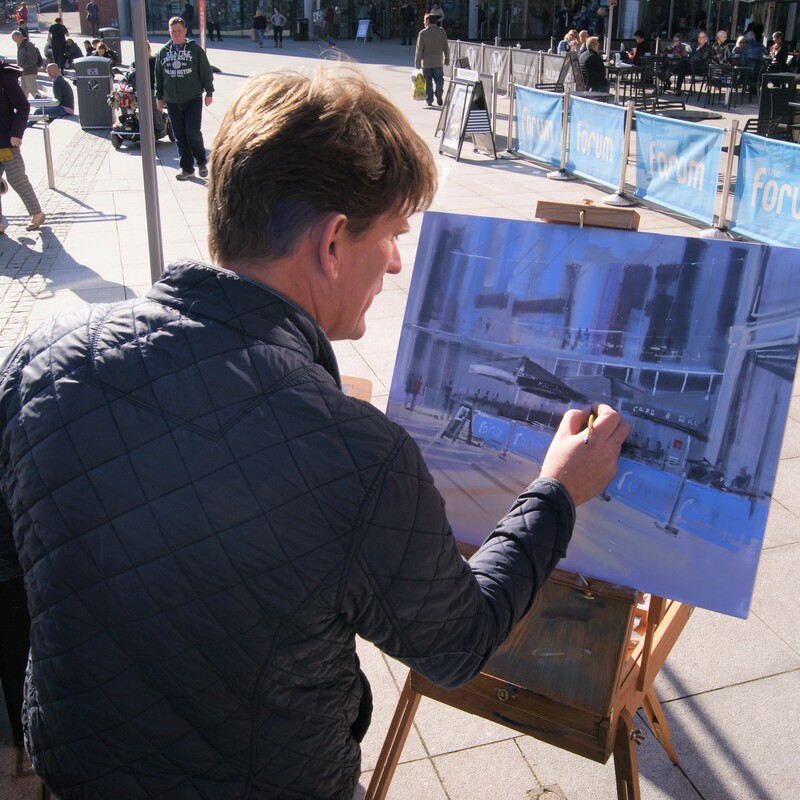 The fifth Paint Out Norwich took place 13-17 October 2018 with 35 artists producing nearly 300 artworks over 5 days. 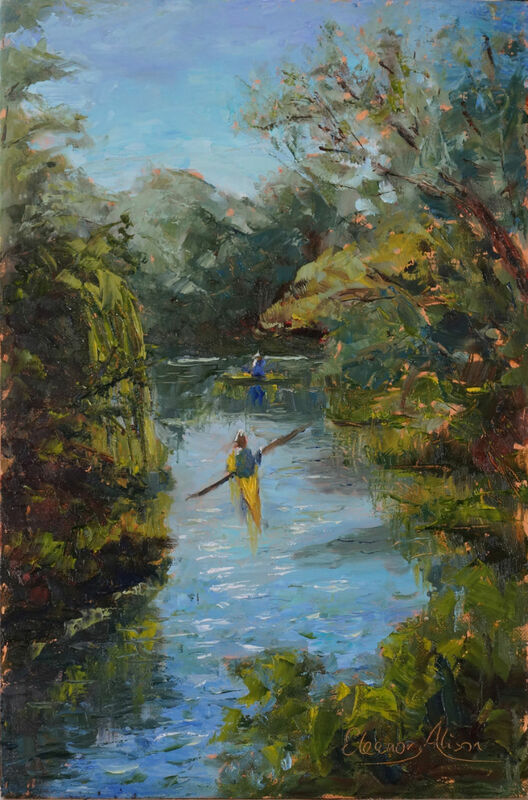 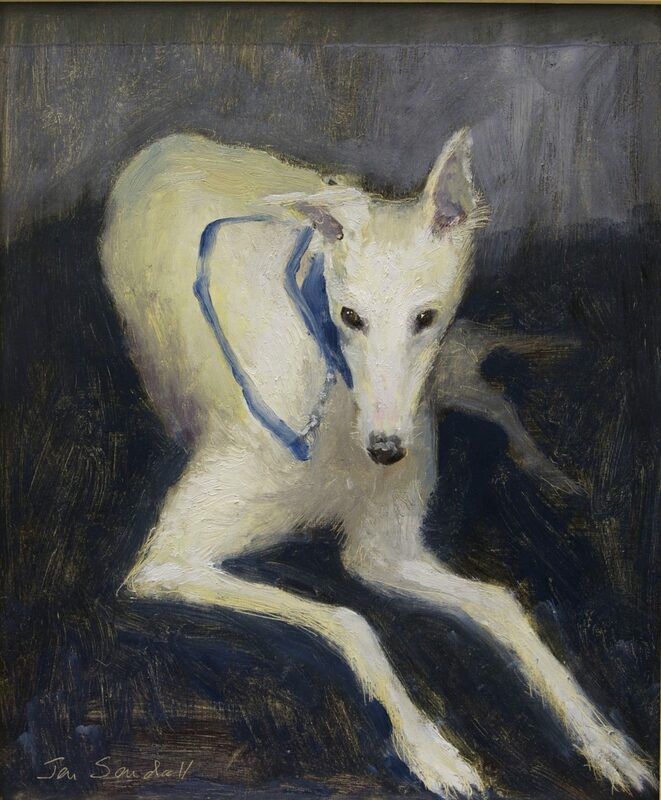 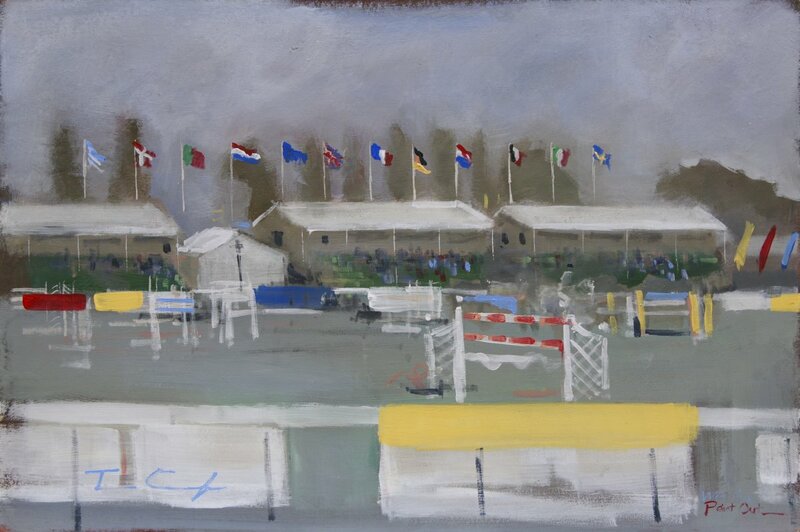 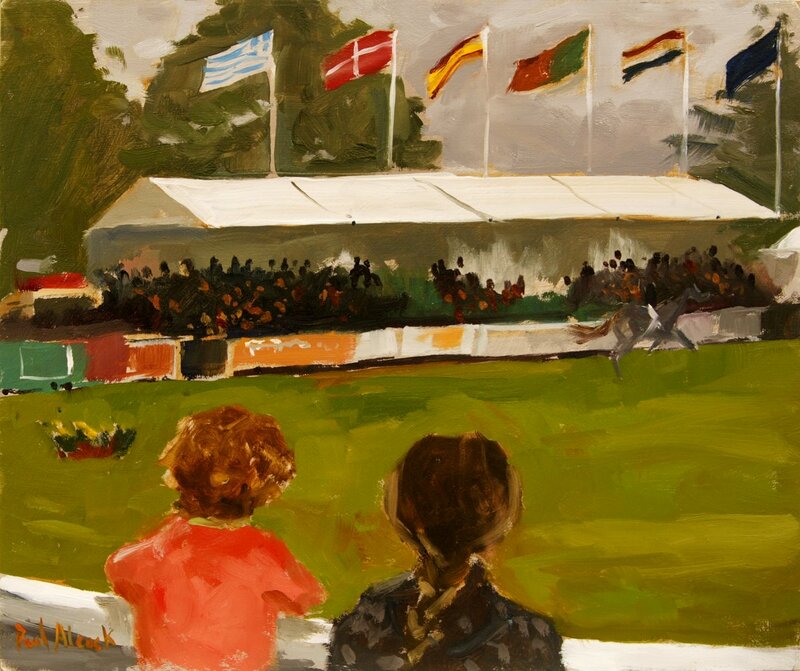 View the winners and other selected paintings gallery or browse by participating artist. 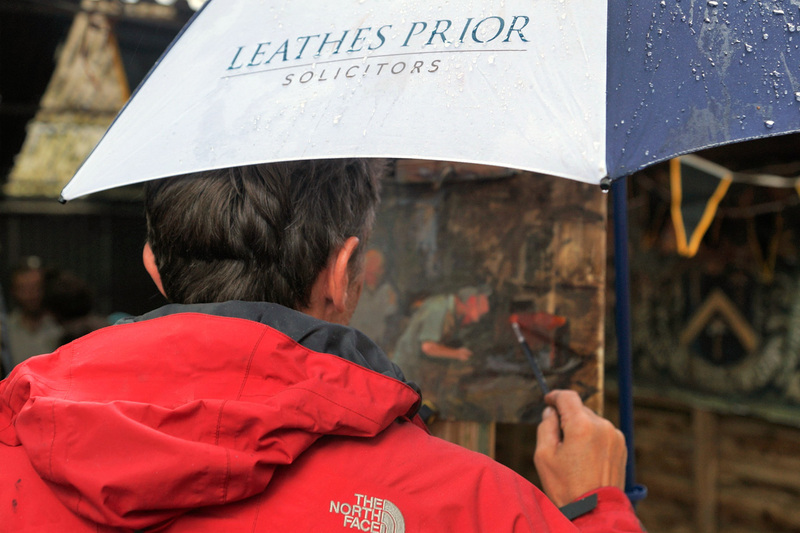 The fourth Paint Out Wells-next-the-Sea took place on the north Norfolk coast on 8 September 2018. 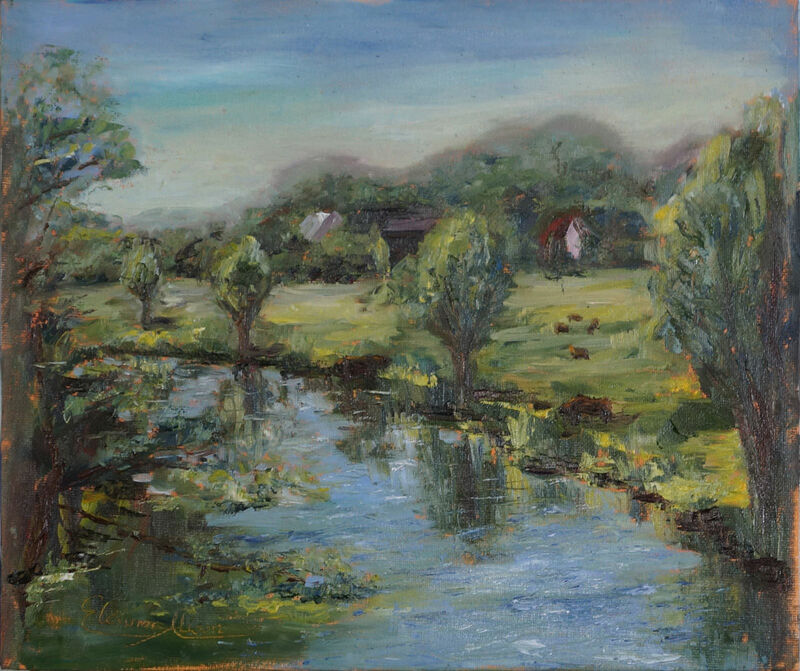 View the winners and other selected paintings gallery or browse by participating artist. Paint Out Great Yarmouth took place in the historic Norfolk coastal town on 1 September 2018. 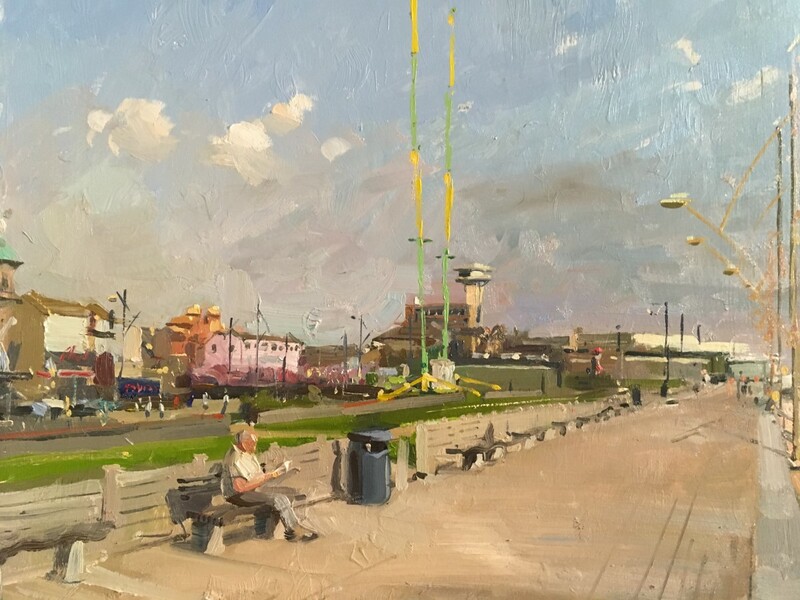 Yarmouth has featured in historic paintings and its history in art was portrayed during ‘Drawn to the Coast: Turner, Constable, Cotman‘ which explored the identity of Great Yarmouth and its surrounding landscape through the artwork it has inspired. 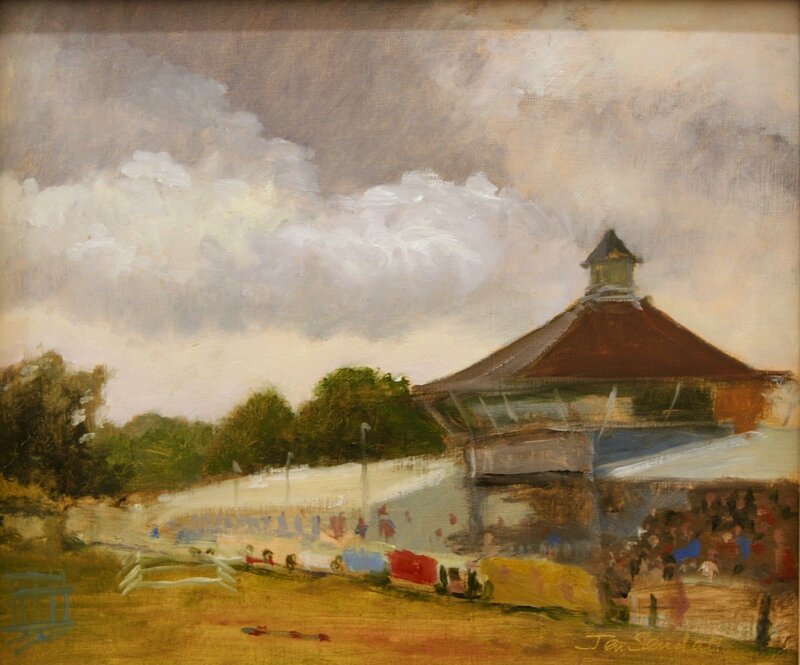 J.M.W Turner and John Constable, Norwich School of painters such as Joseph Stannard, John Sell Cotman and John Crome were all drawn to paint here. 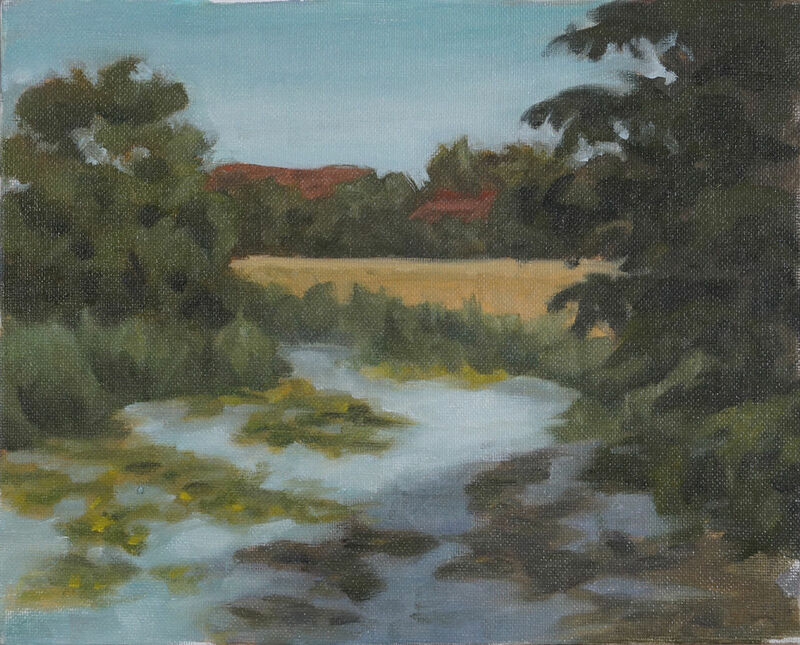 Paint Out Sudbury took place in the historic wool and silk town on 30 June 2018, on the Essex/Suffolk border, home to Thomas Gainsborough who inspired John Constable, with picturesque scenery including the Water Meadows, Valley Trail and River Stour, the old railway line, market town itself, St Peter’s Church, and Gainsborough’s house and garden, among the 247 Heritage Listed buildings. 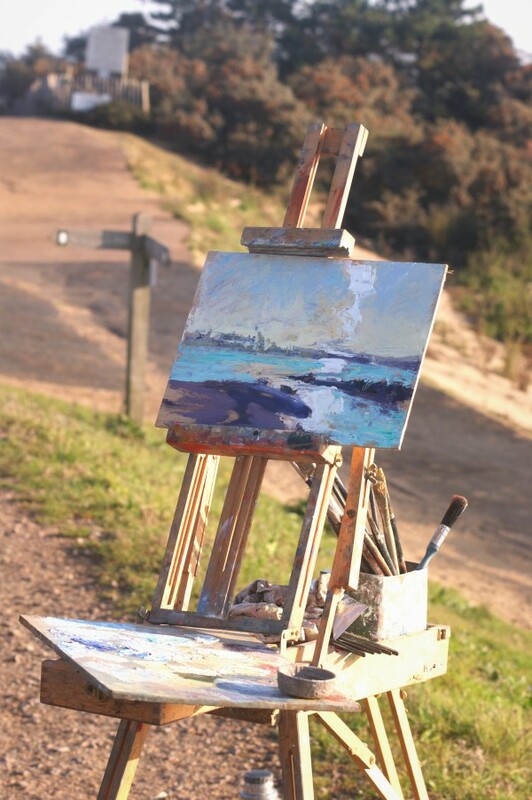 One day, two sessions, en plein air! 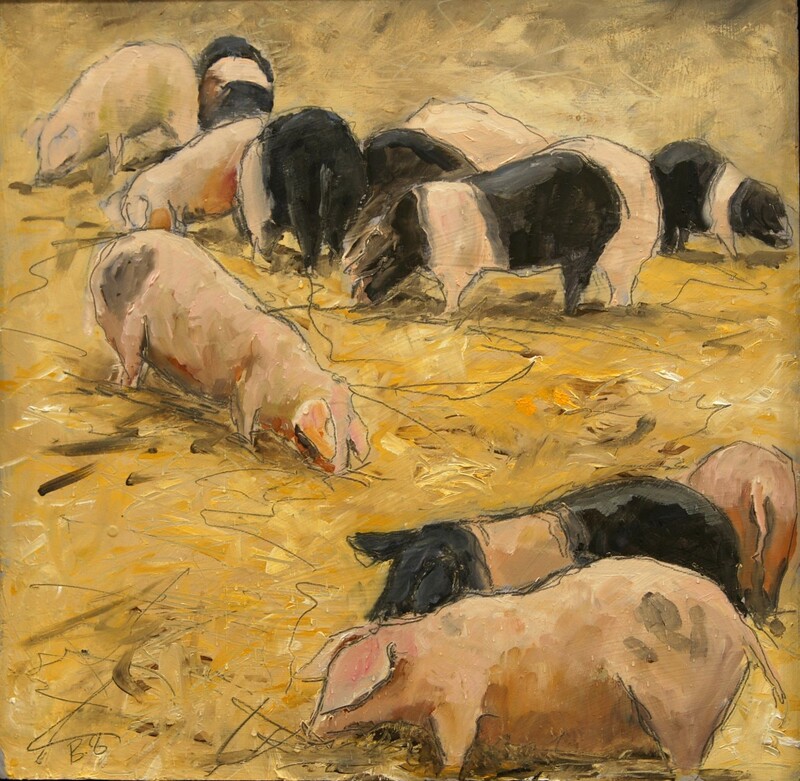 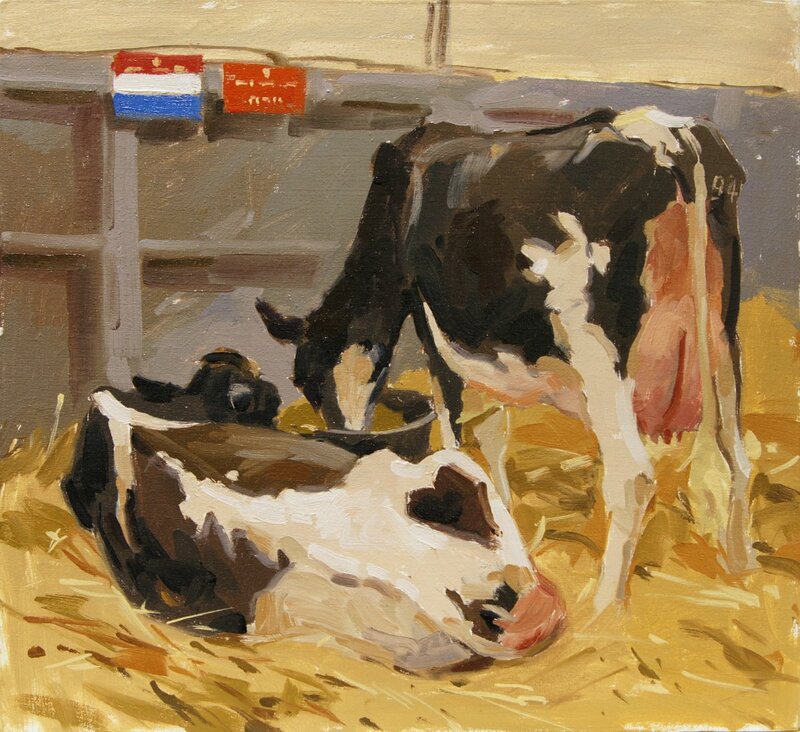 View the gallery of artworks online. 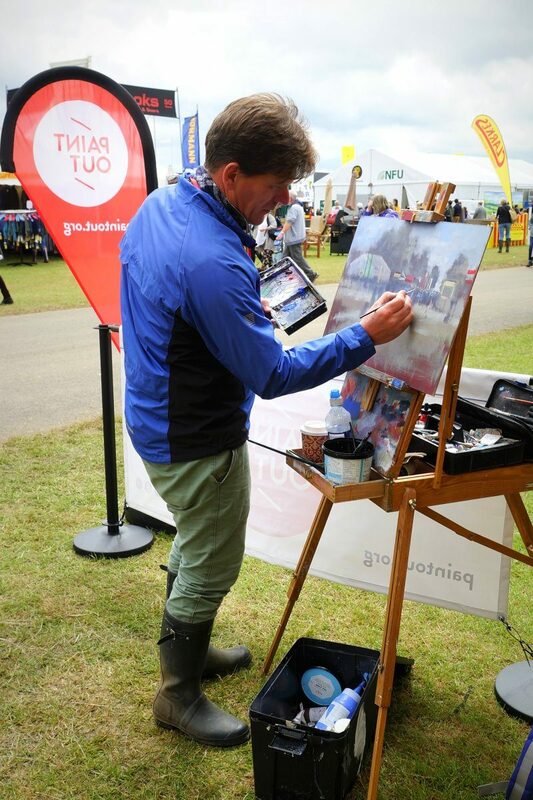 Paint Out 2017 saw an en plein air invitational event at the Royal Norfolk Show. 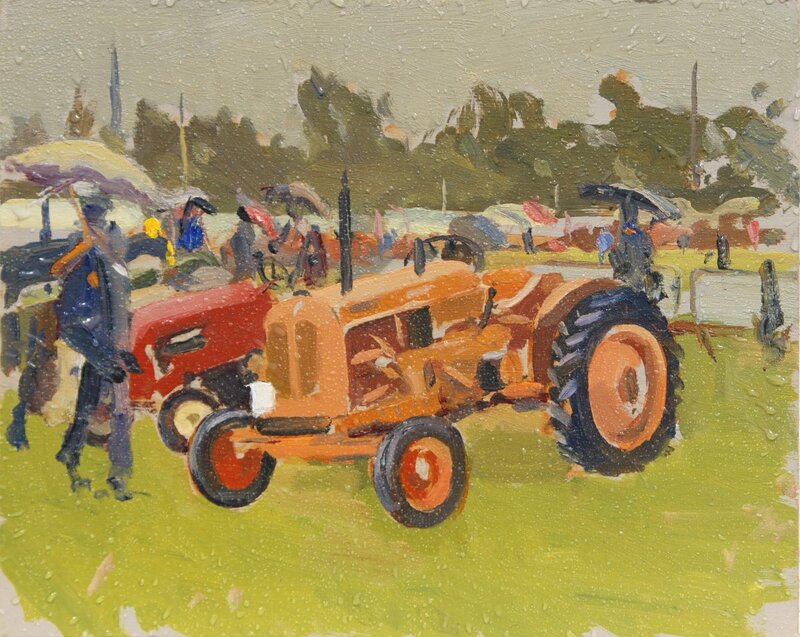 Fifteen hardy artists painted all the colour and character of the UK’s largest two-day agricultural event amidst torrential downpours and mud to rival Glastonbury! 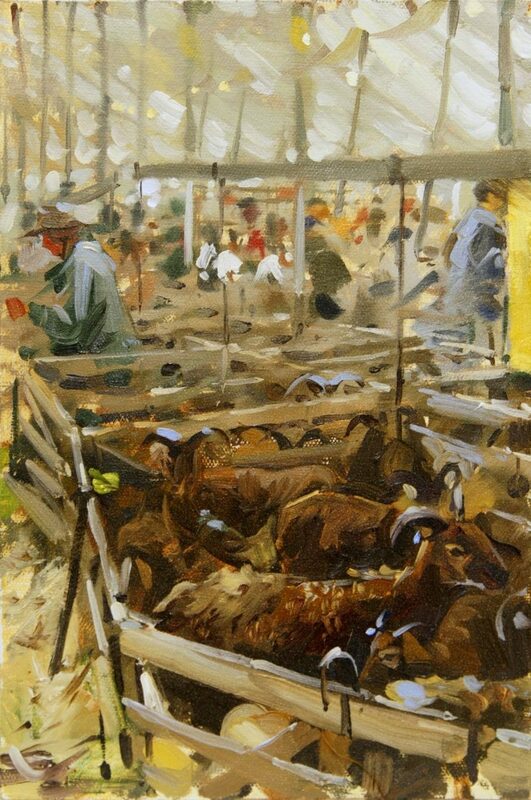 From fairground to farriers, and pigs to poultry, there was plenty to paint. 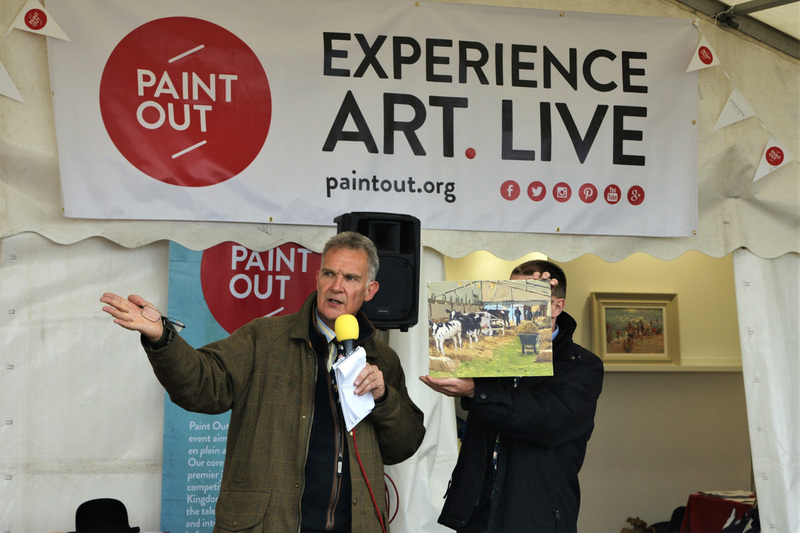 Our artists were positioned around the Norfolk Showground site, returning their wet artworks every few hours to our tent for a live art auction on the first day, and continually refreshed rolling exhibition over both days. 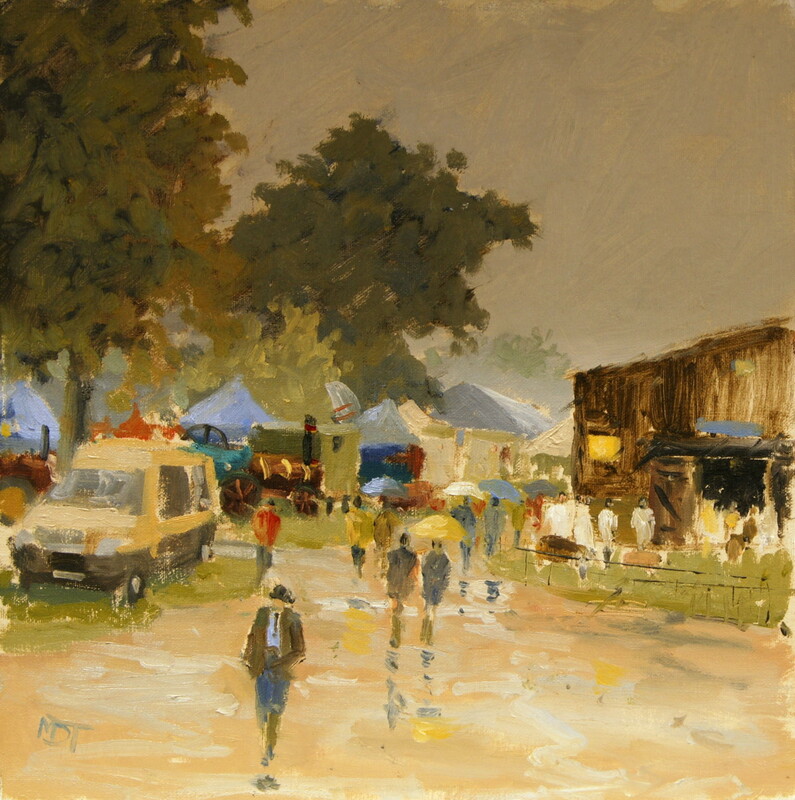 View the gallery of artworks online.